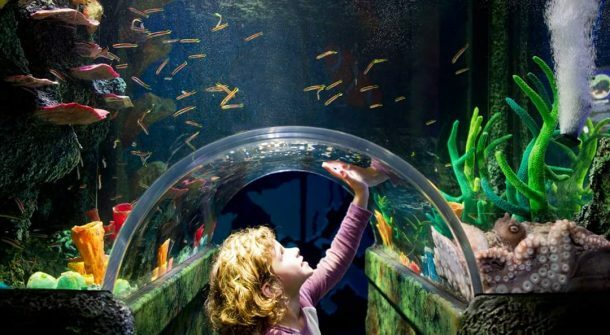 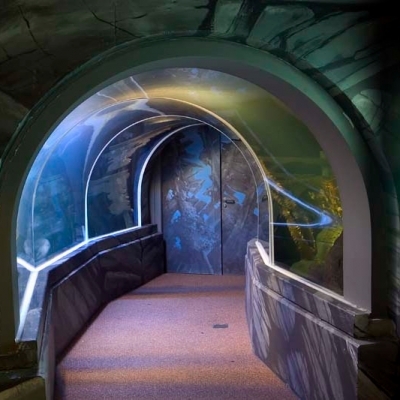 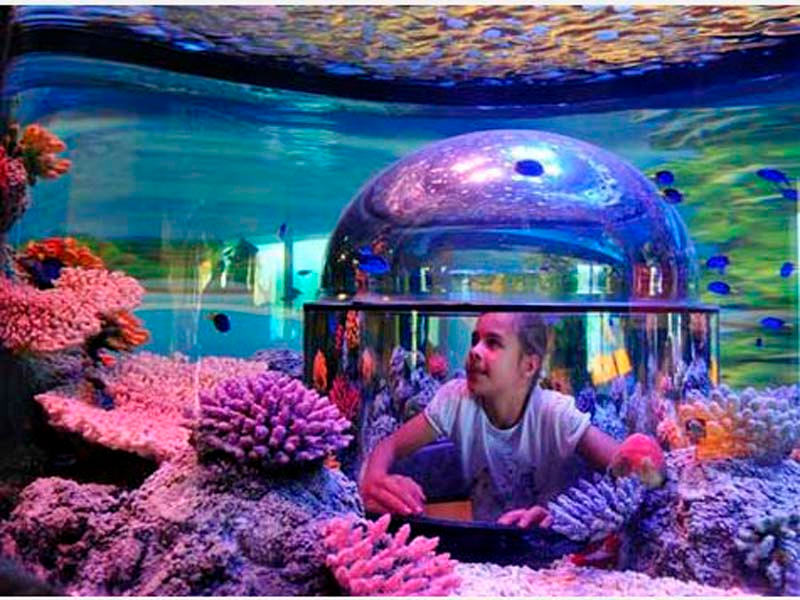 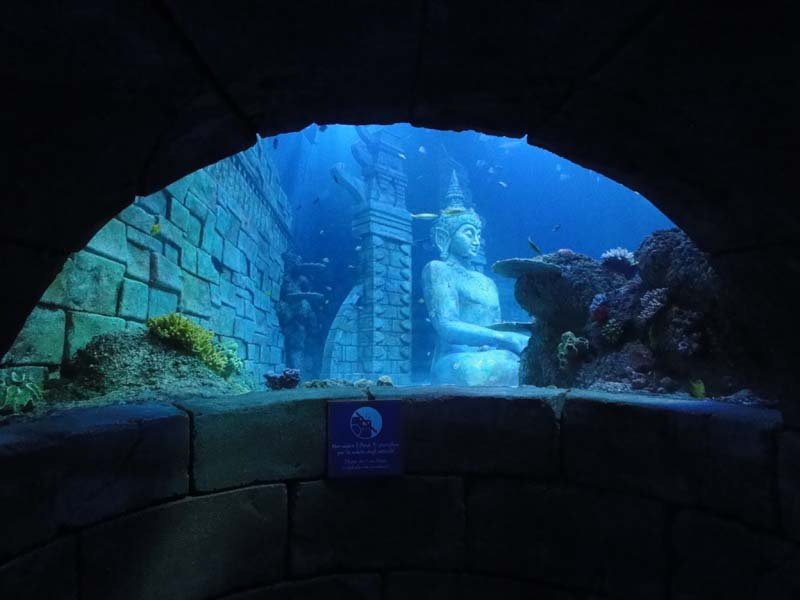 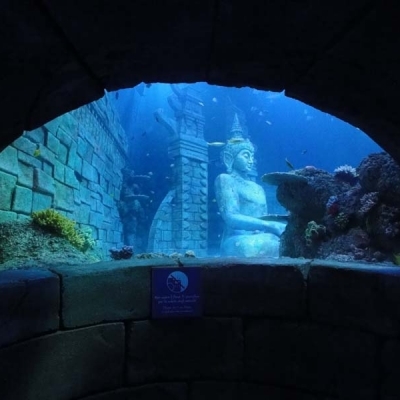 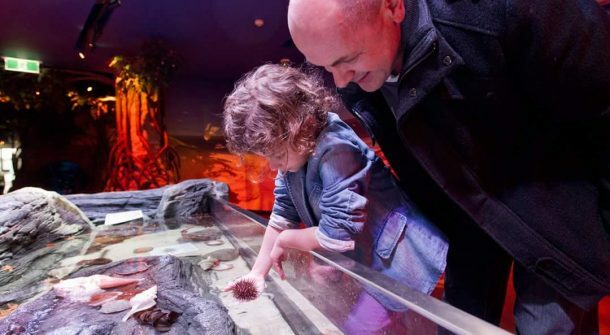 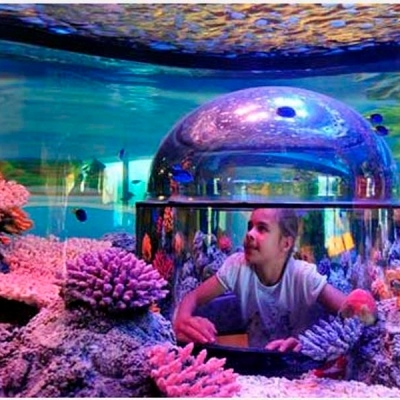 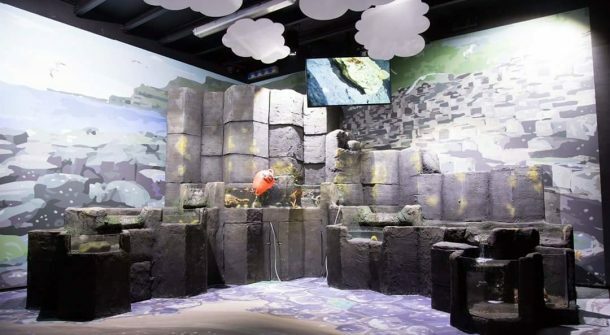 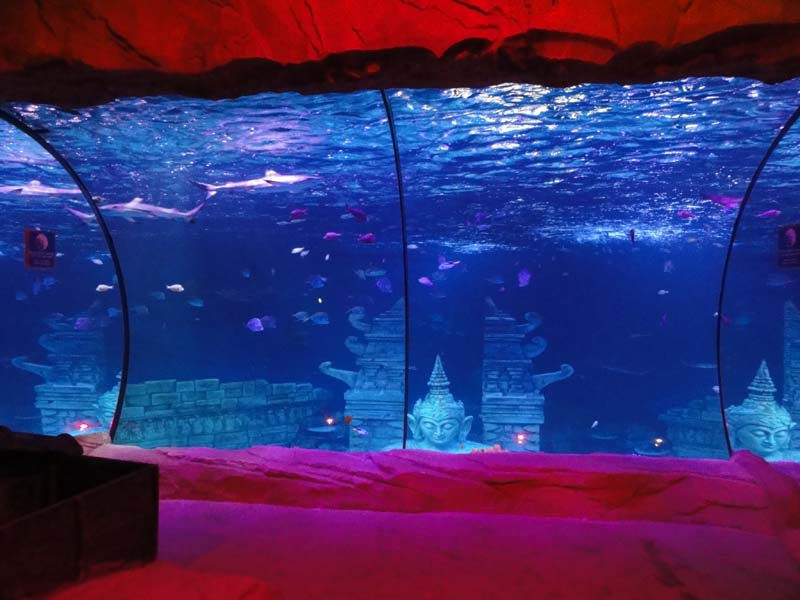 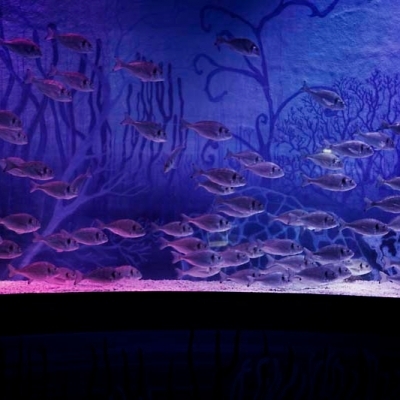 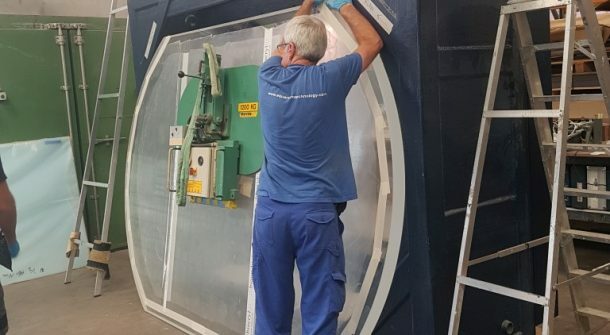 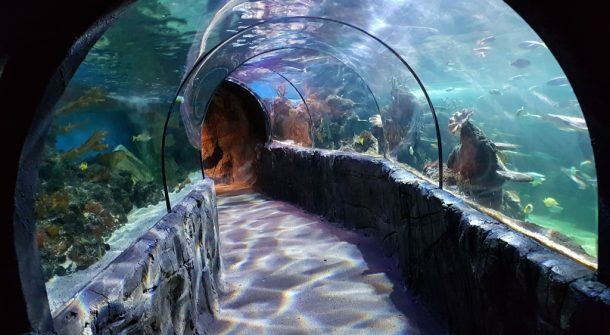 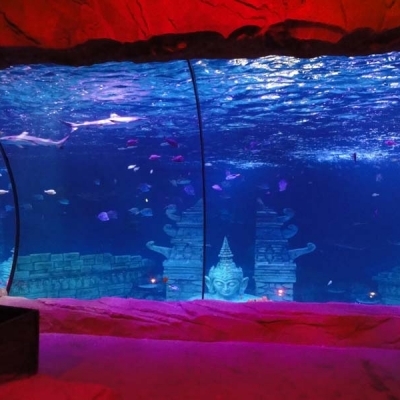 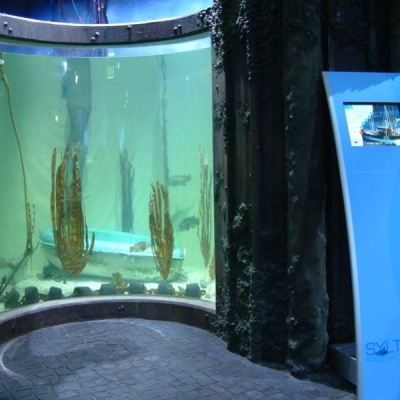 In addition to more than 60 commercial aquarium clients, ATL have also been chosen to provide cutting edge bespoke displays for theme parks, resort developments, architectural pieces and many ambitious domestic installations. 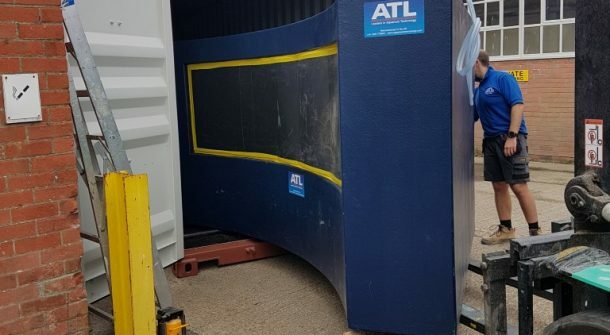 Since becoming an independent company in 1996 this development has continued unabated right up to the present day where ATL now offer their unique approach to discerning customers across the globe. 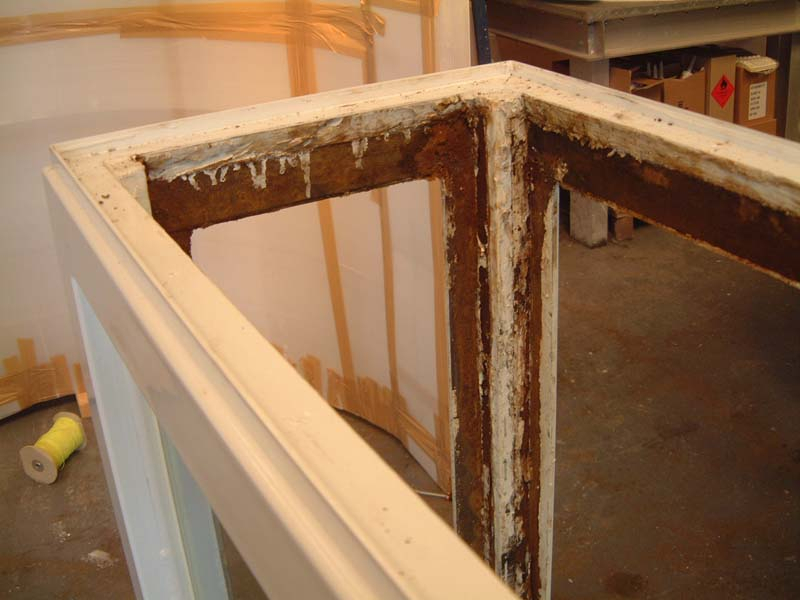 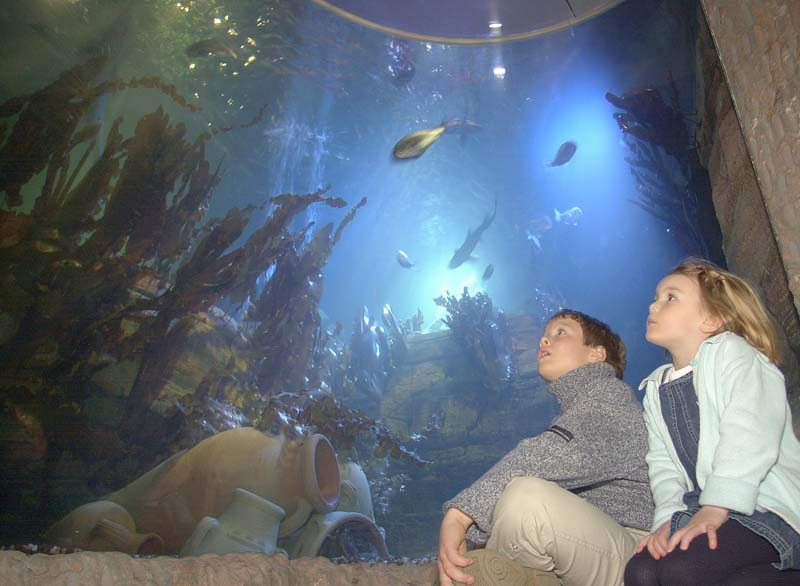 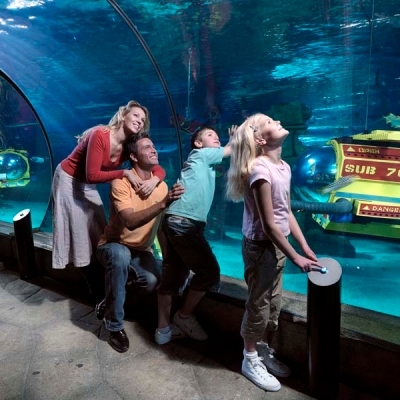 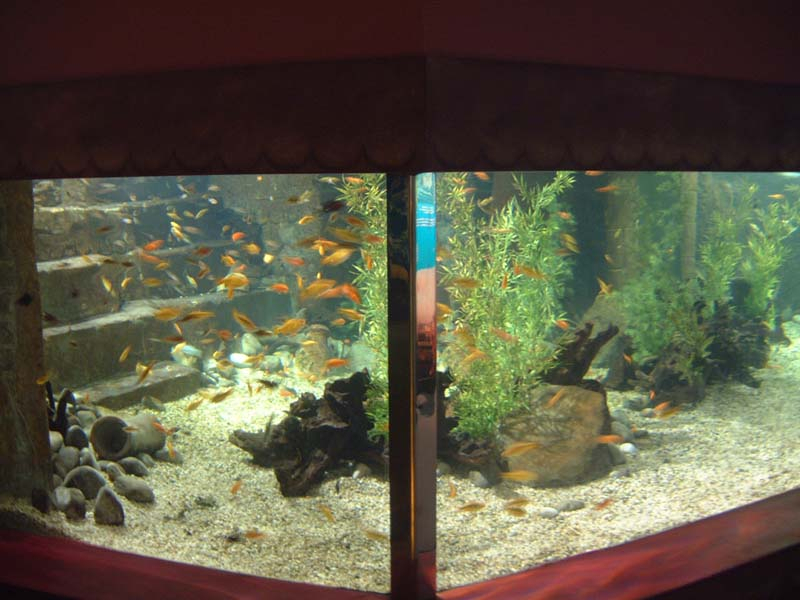 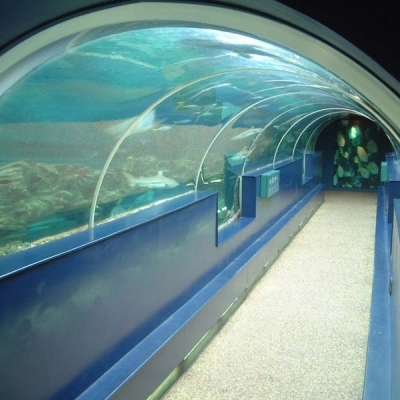 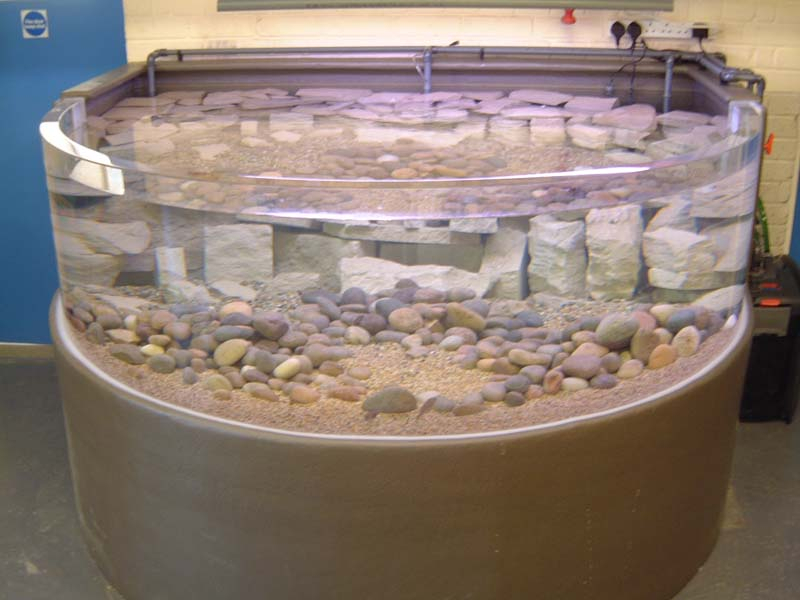 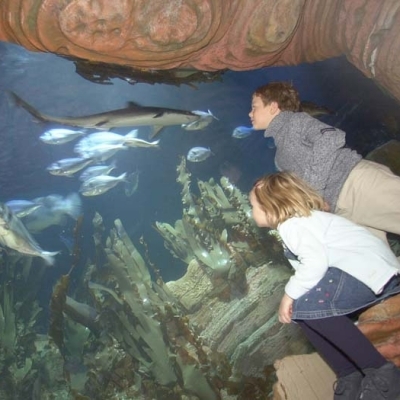 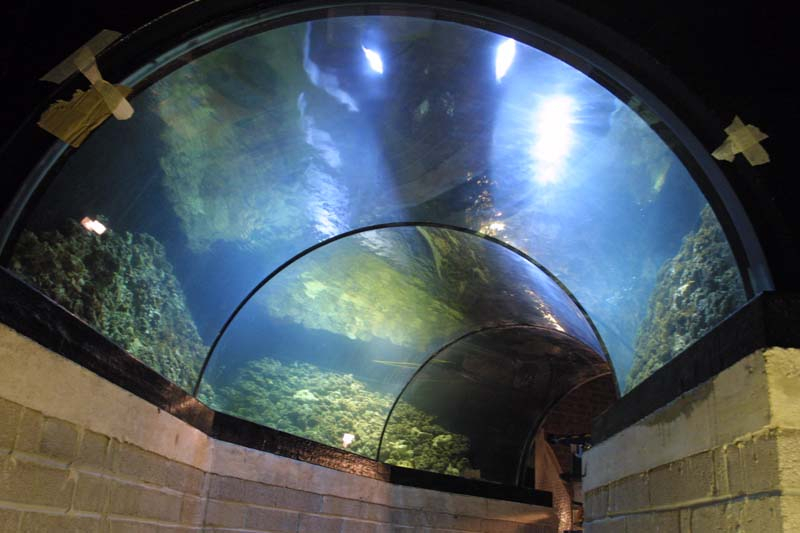 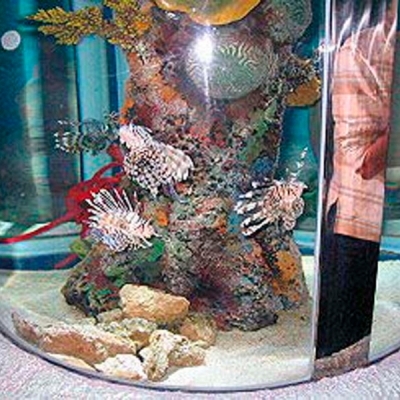 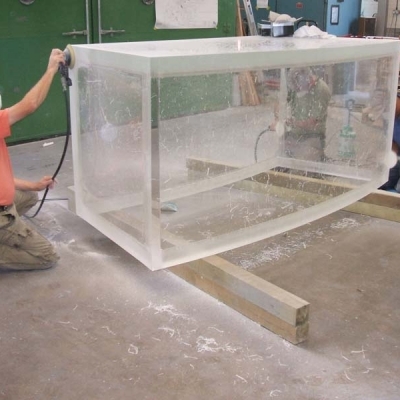 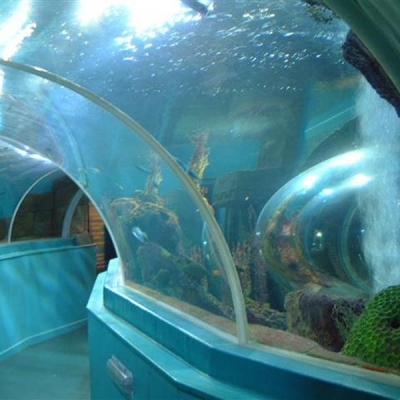 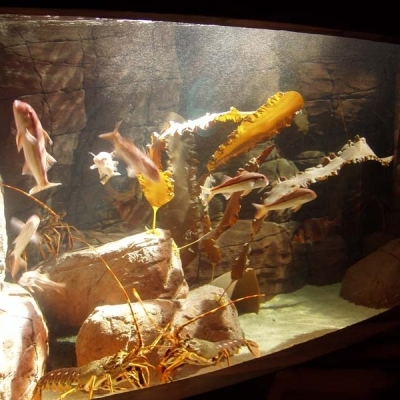 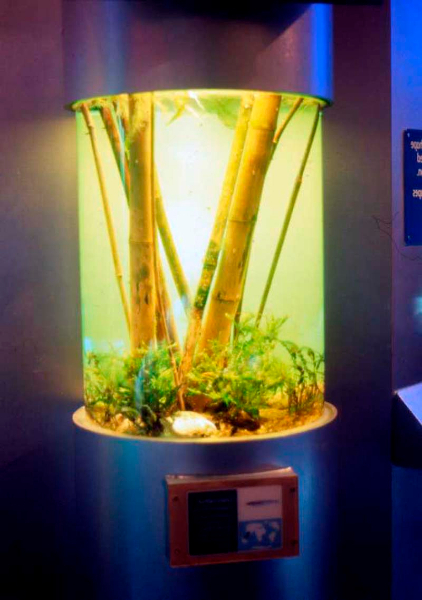 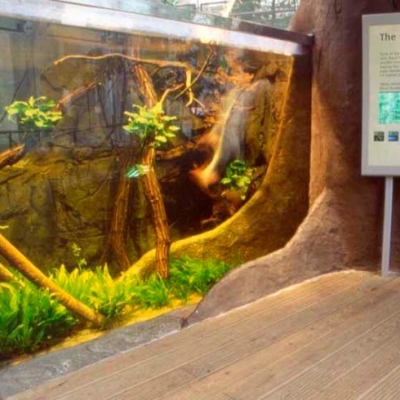 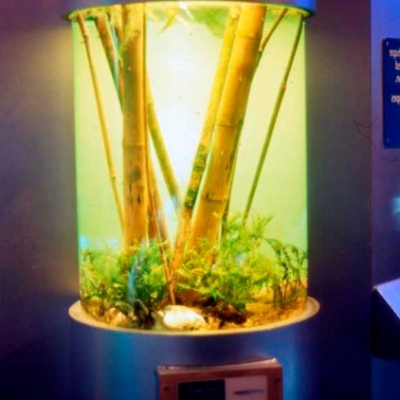 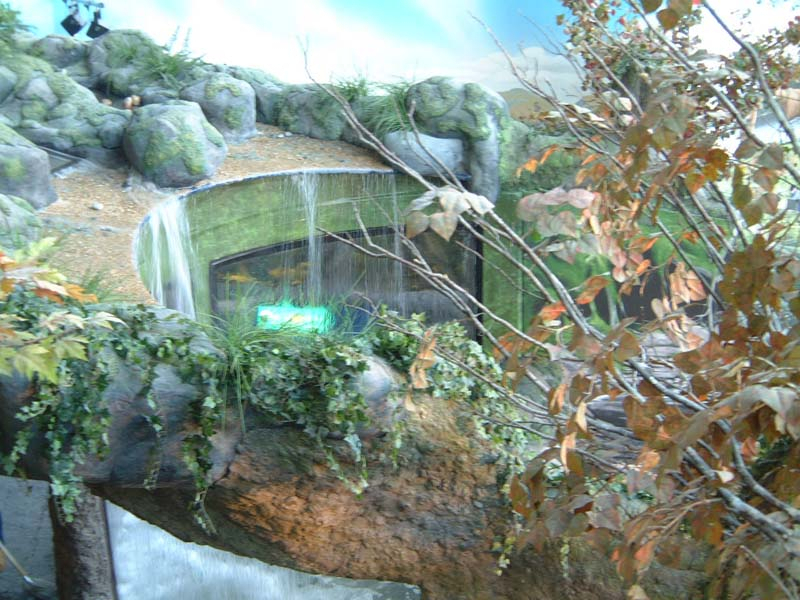 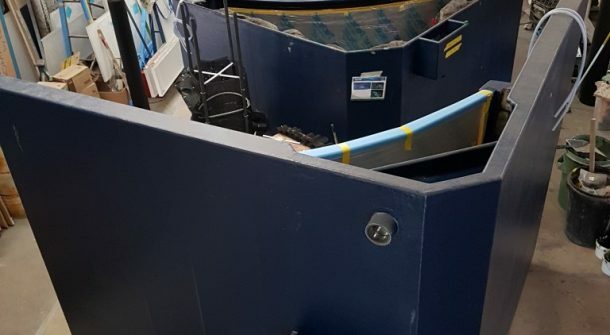 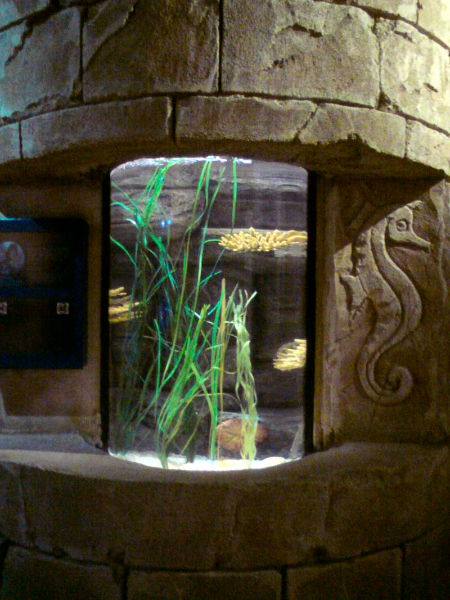 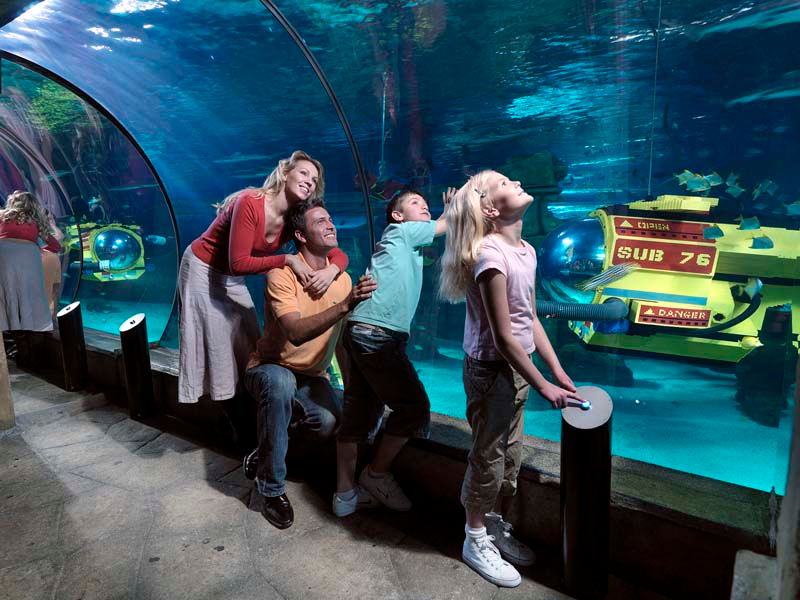 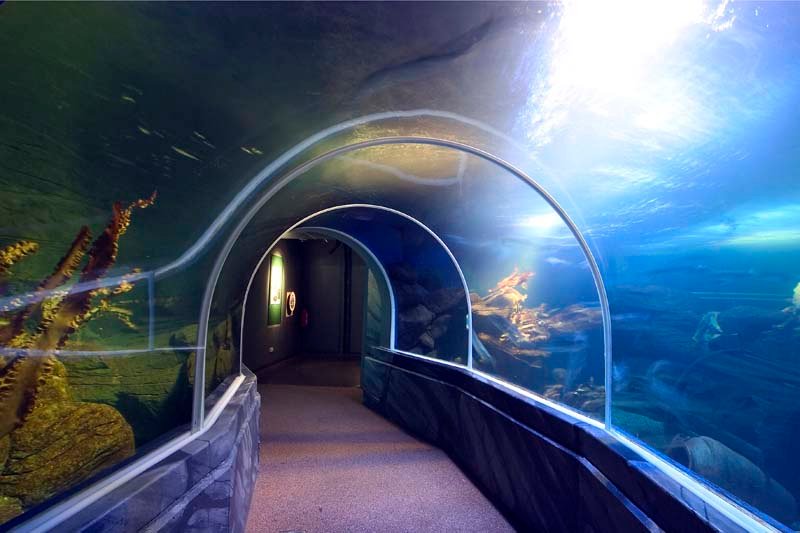 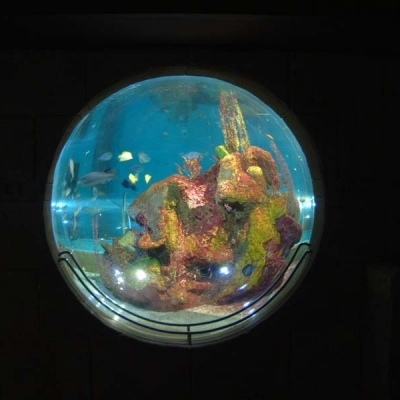 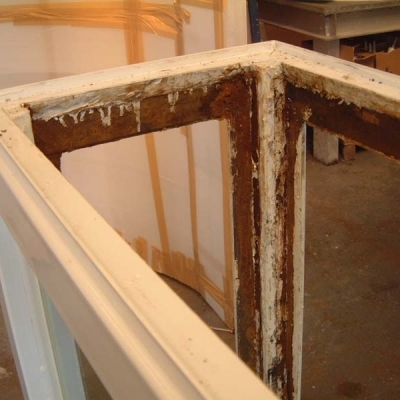 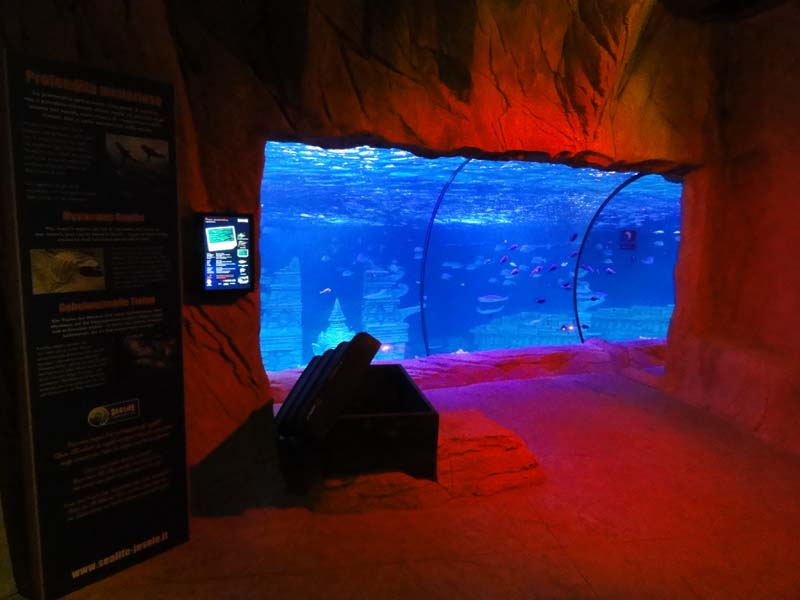 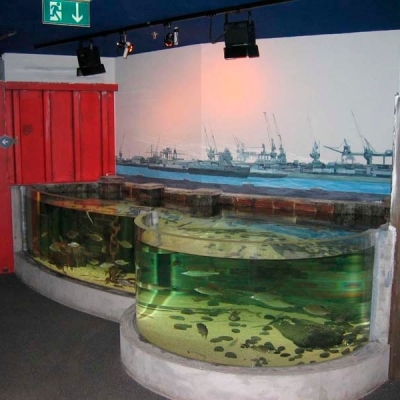 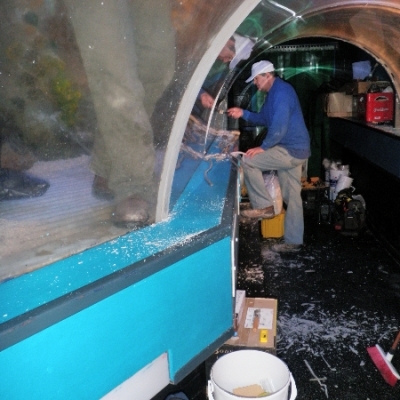 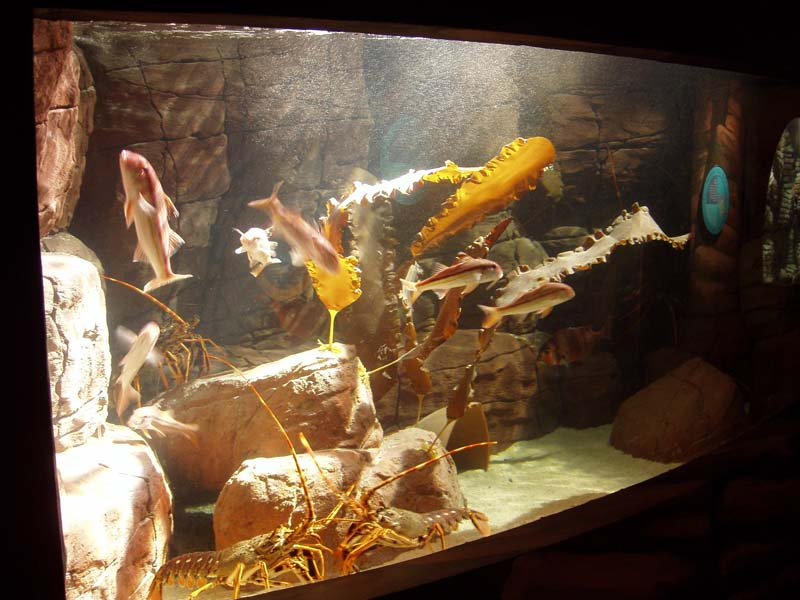 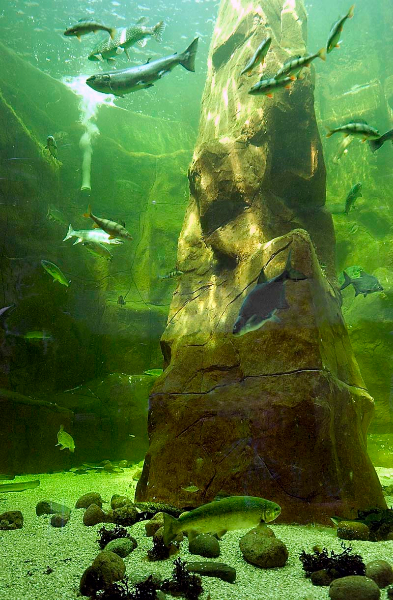 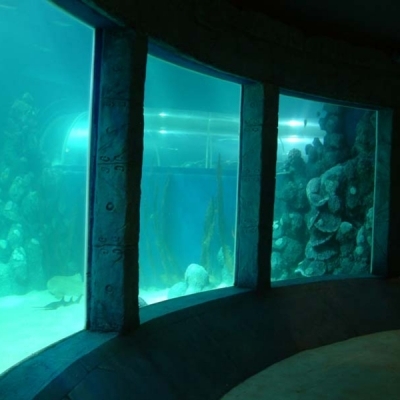 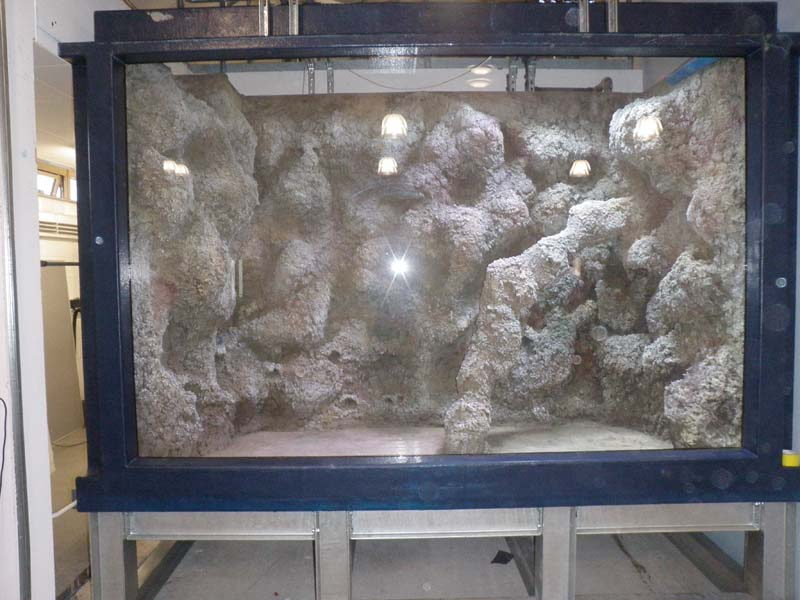 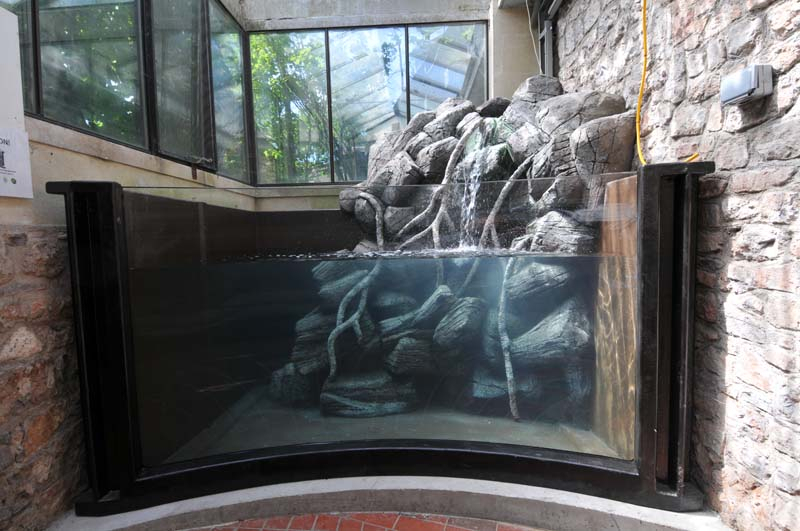 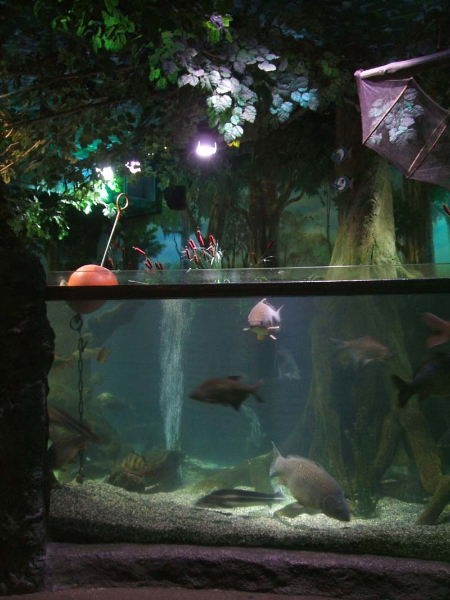 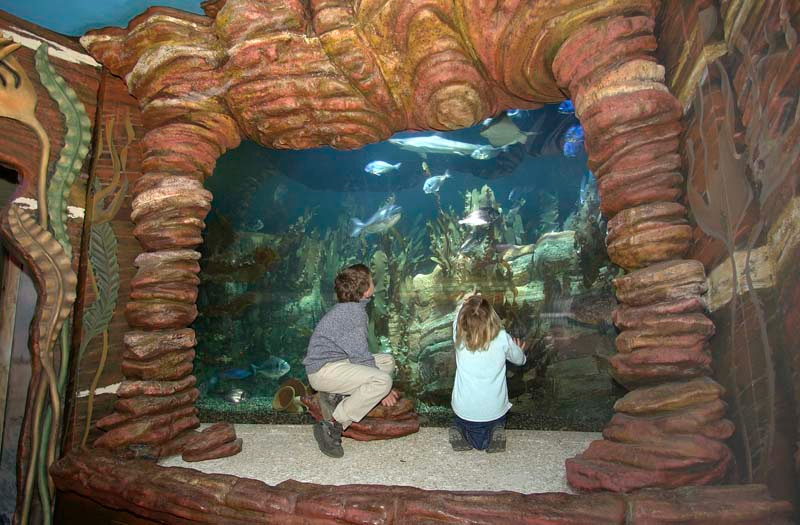 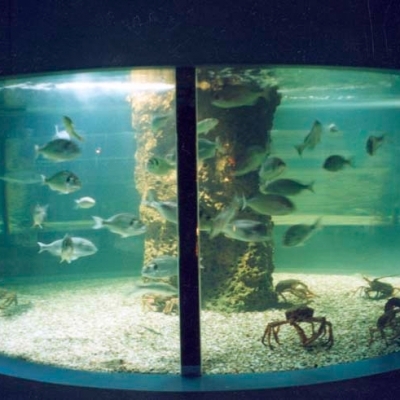 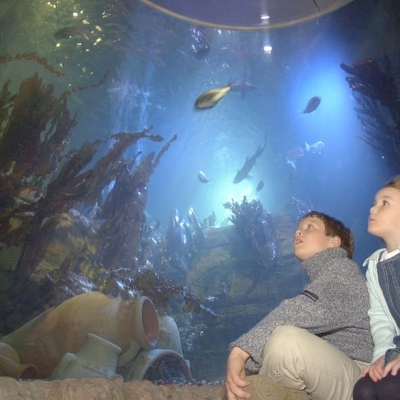 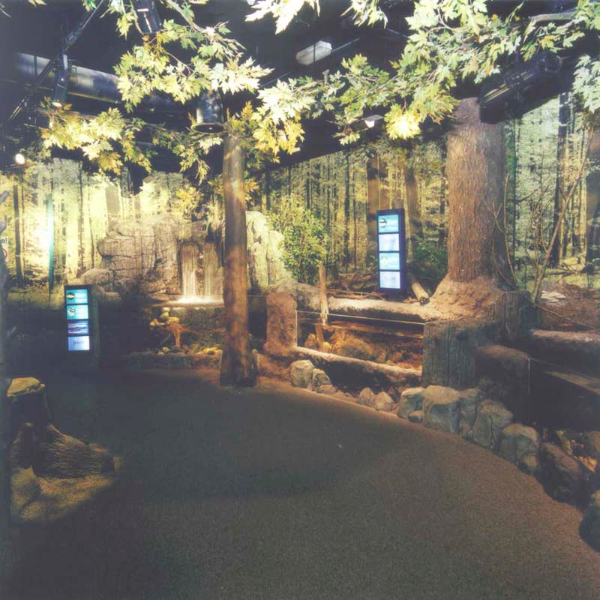 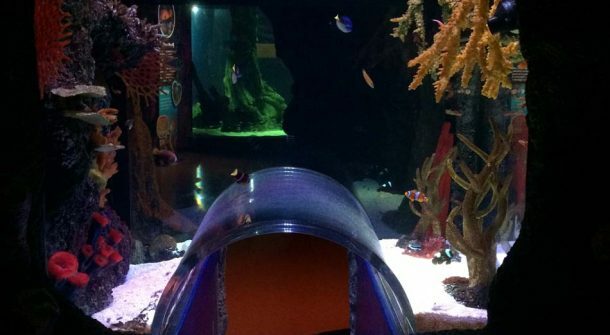 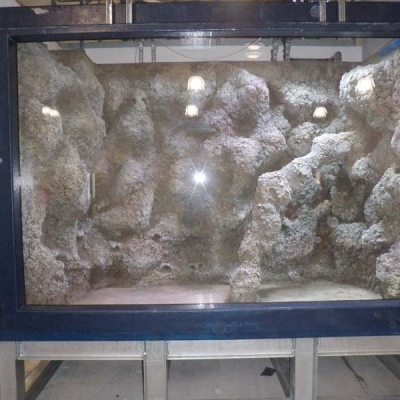 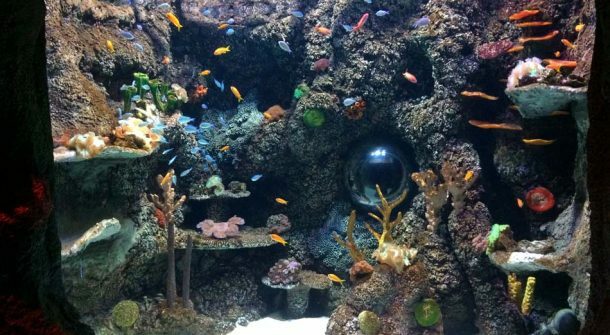 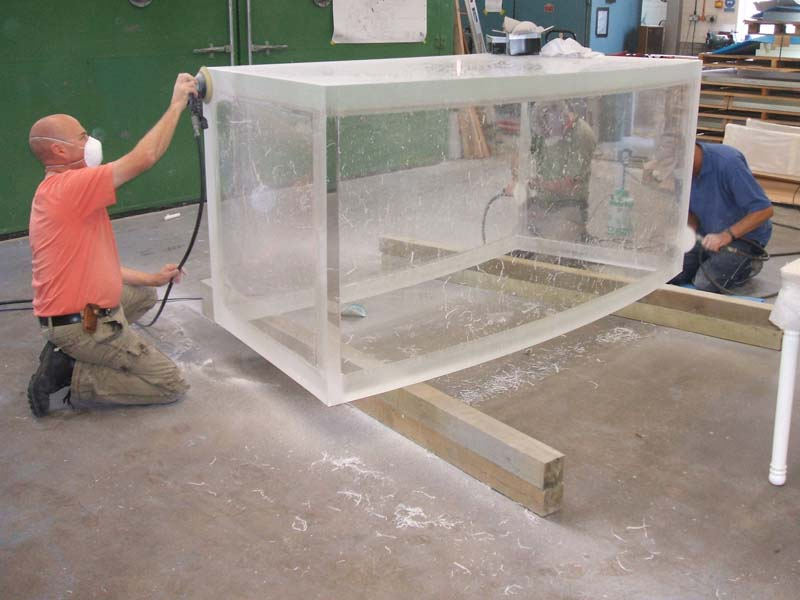 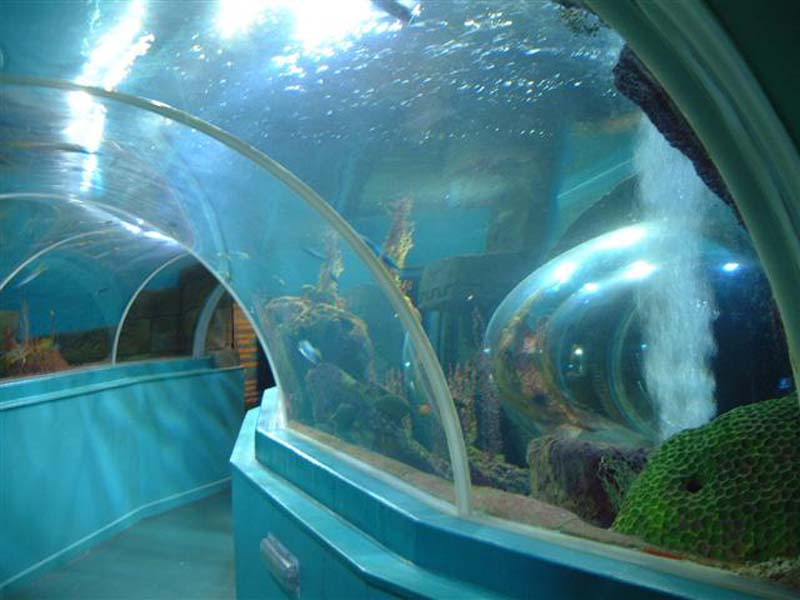 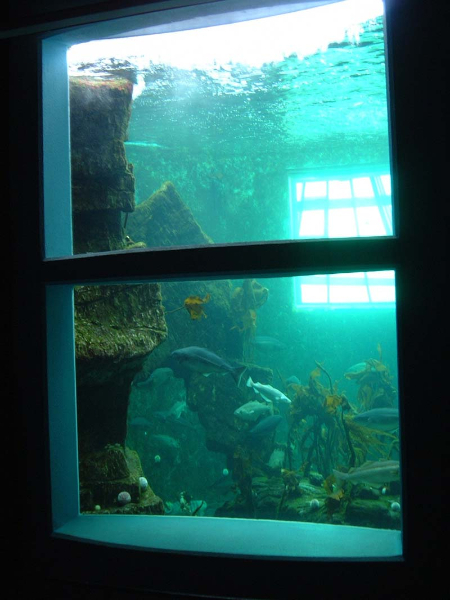 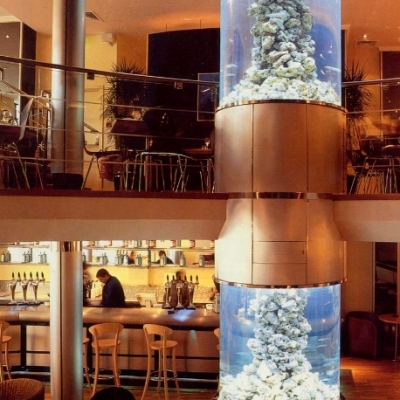 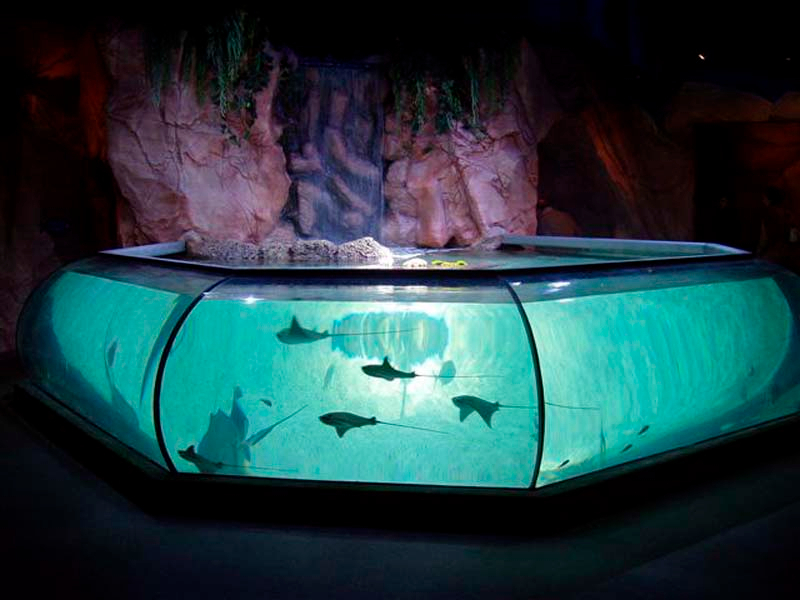 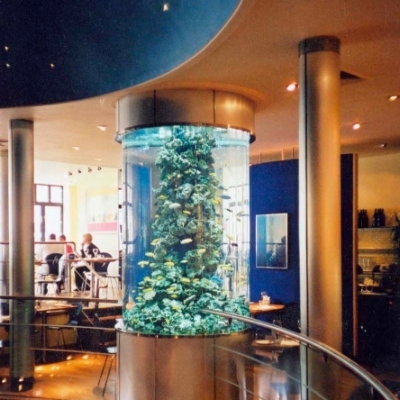 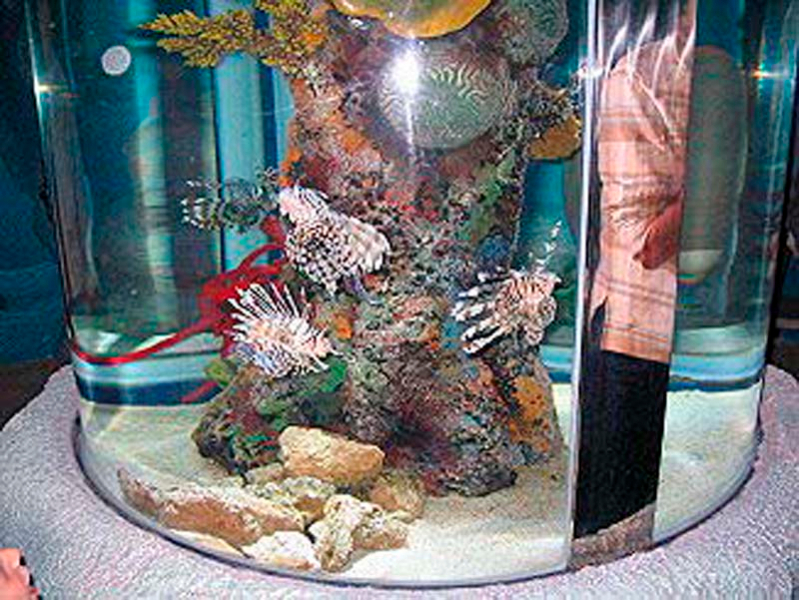 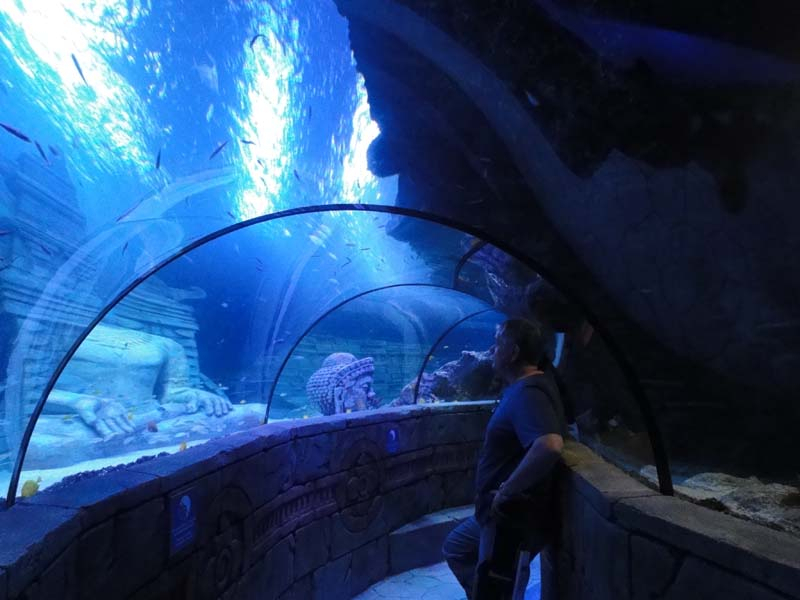 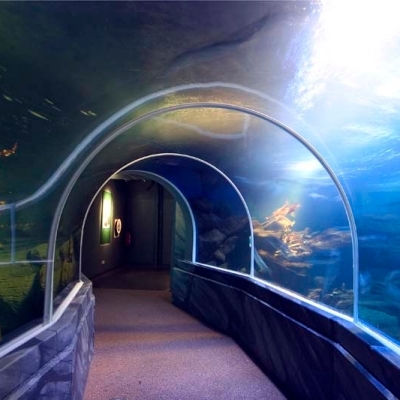 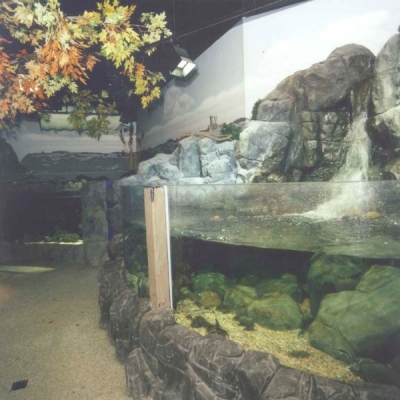 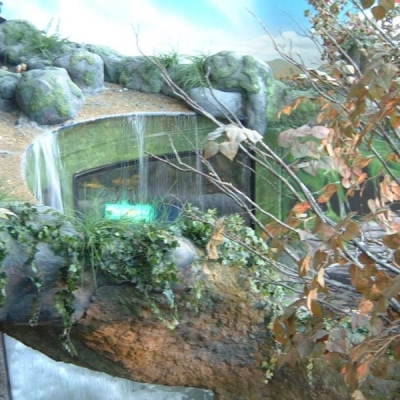 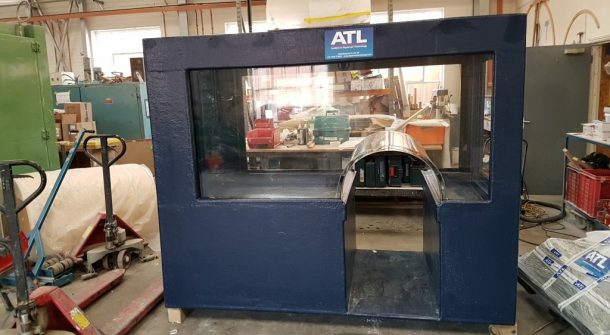 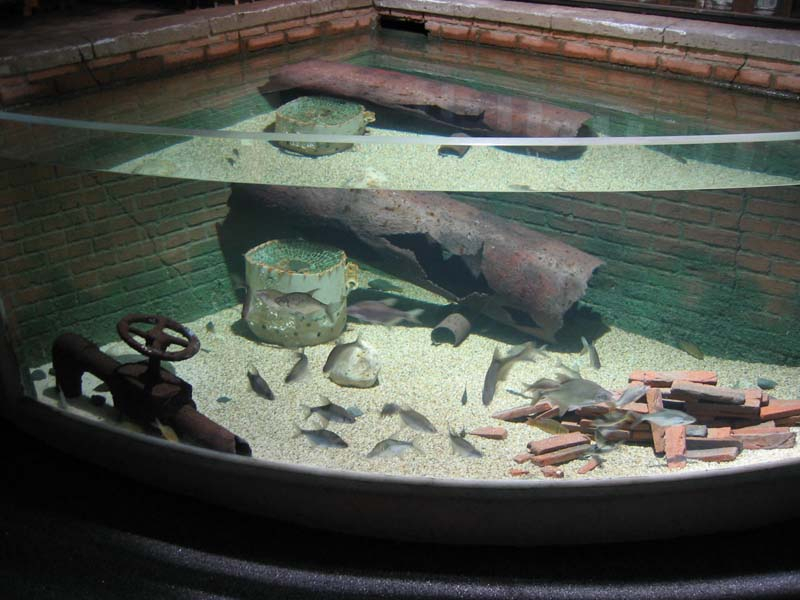 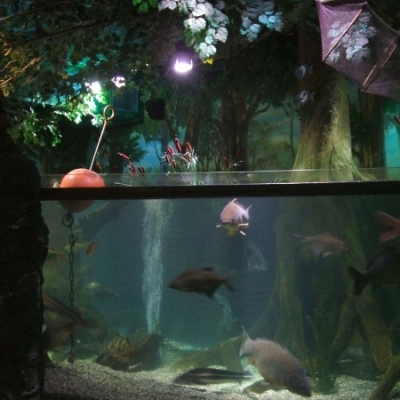 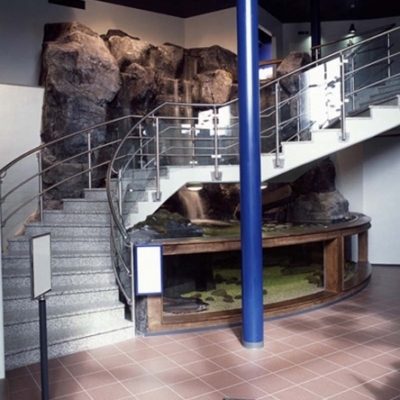 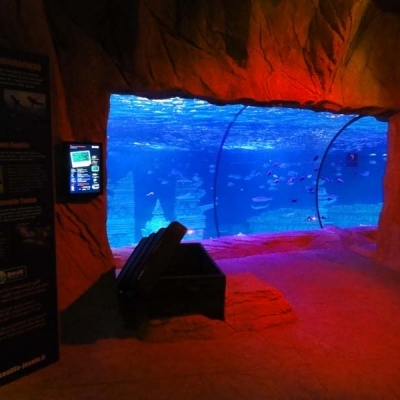 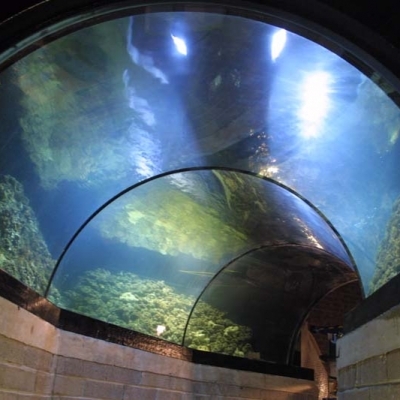 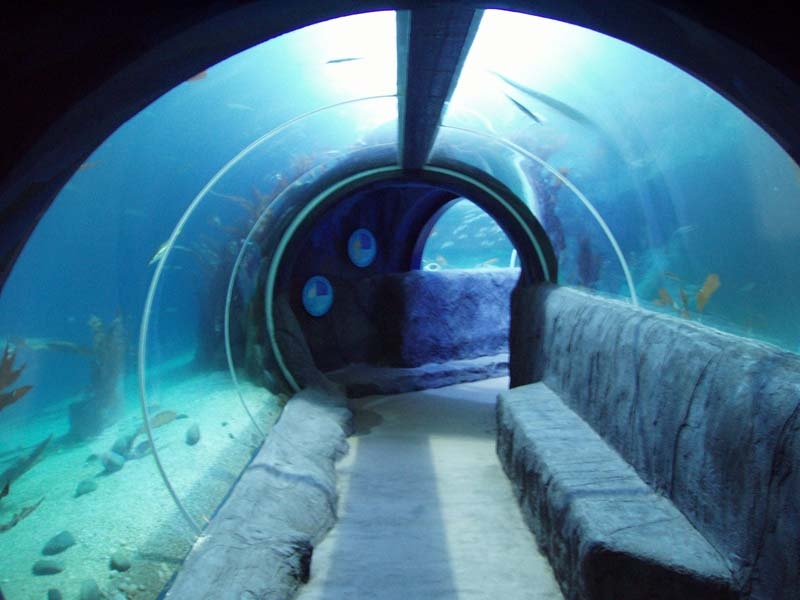 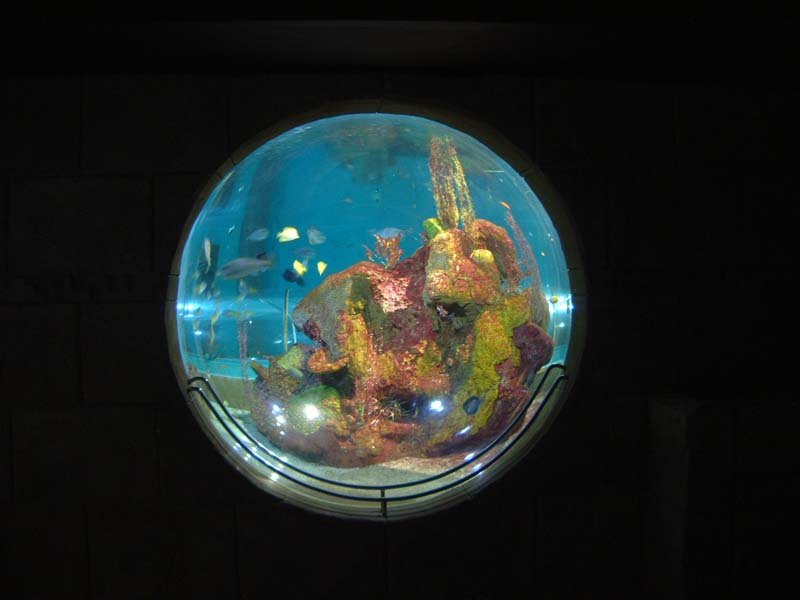 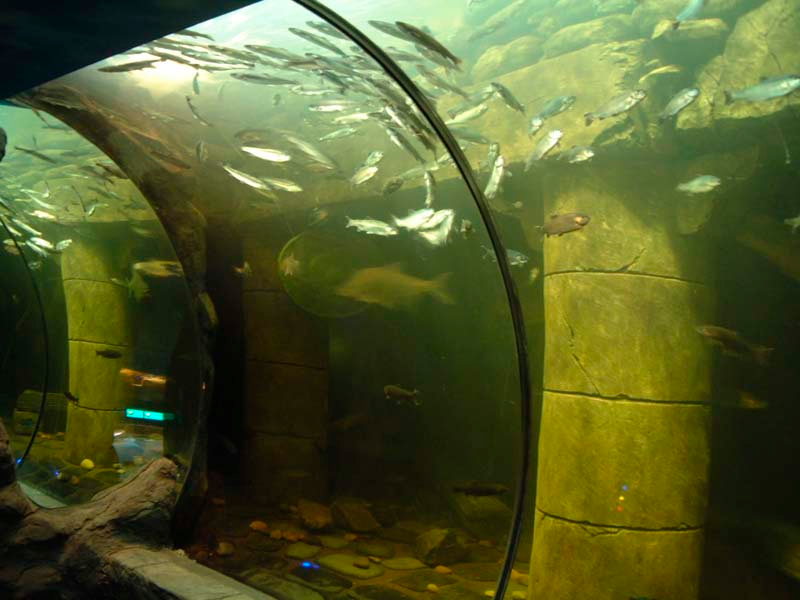 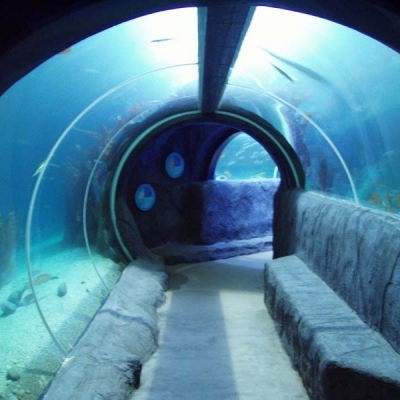 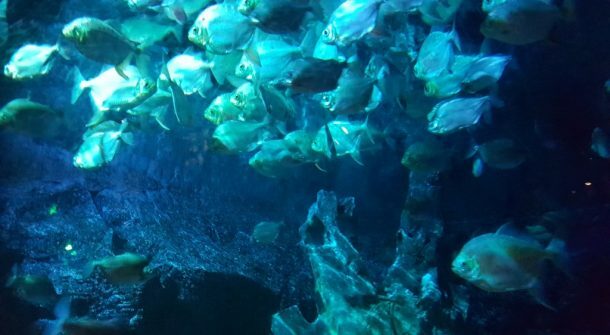 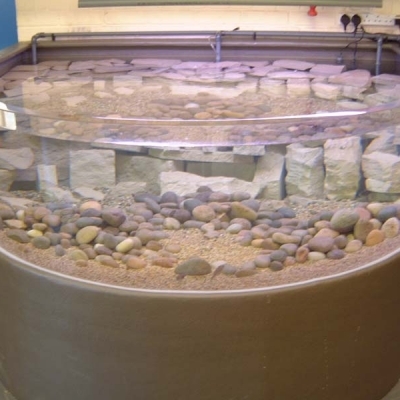 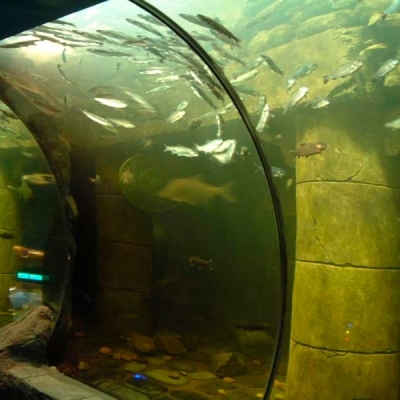 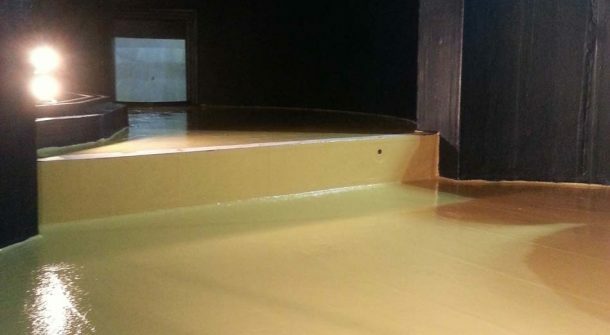 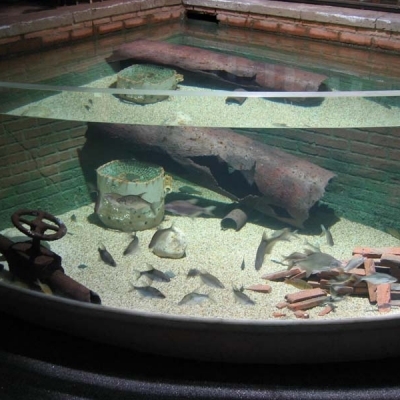 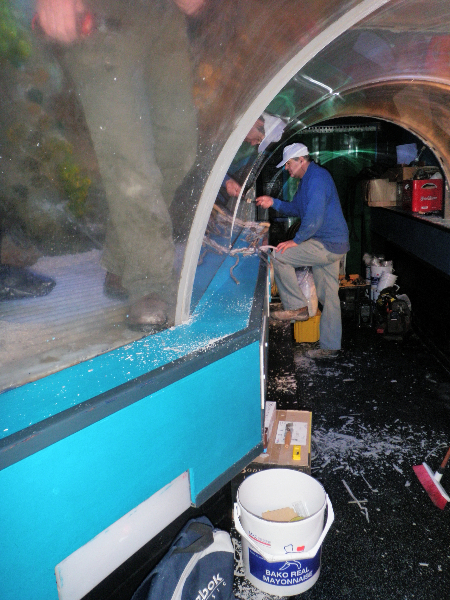 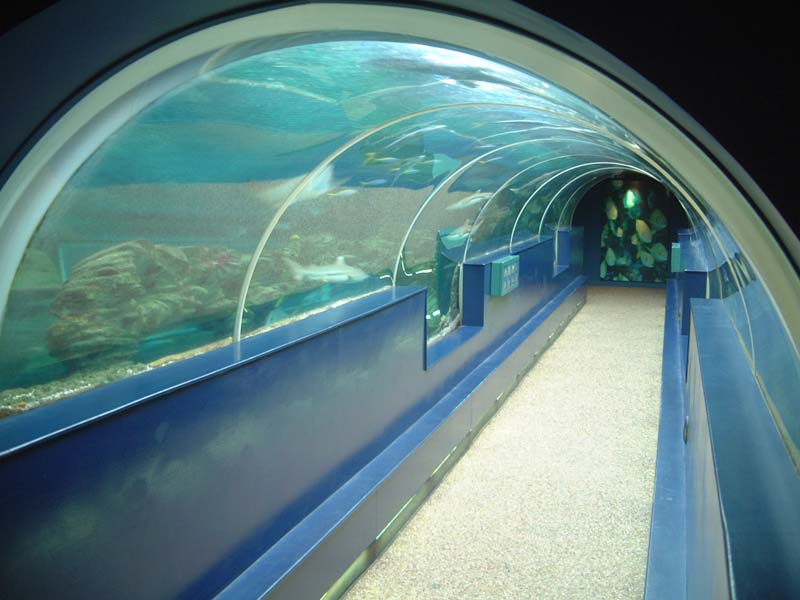 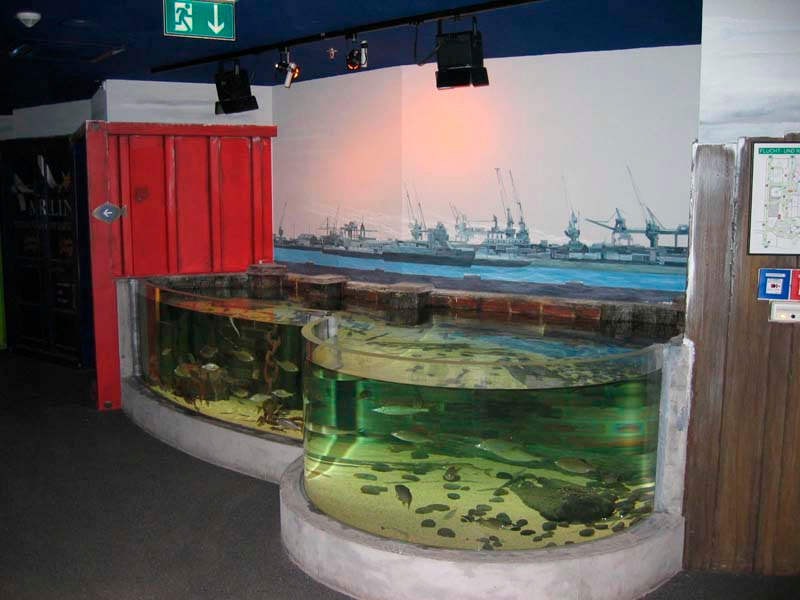 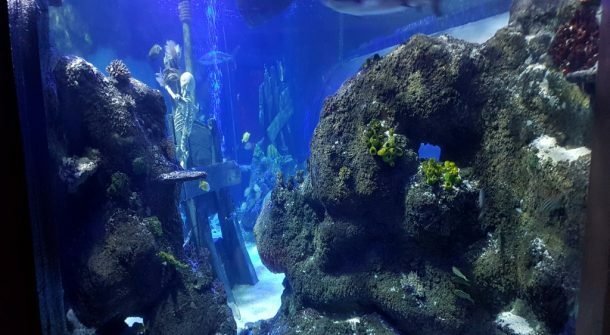 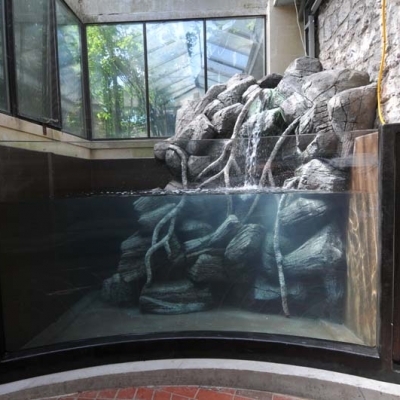 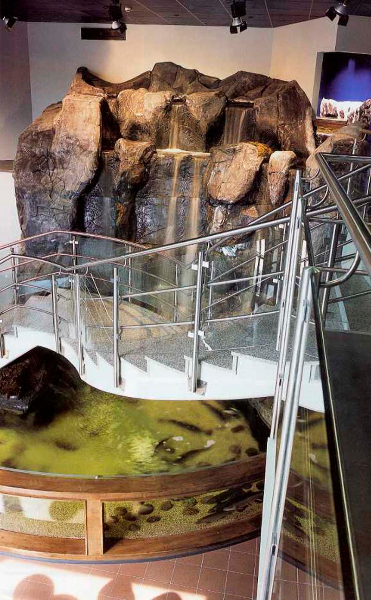 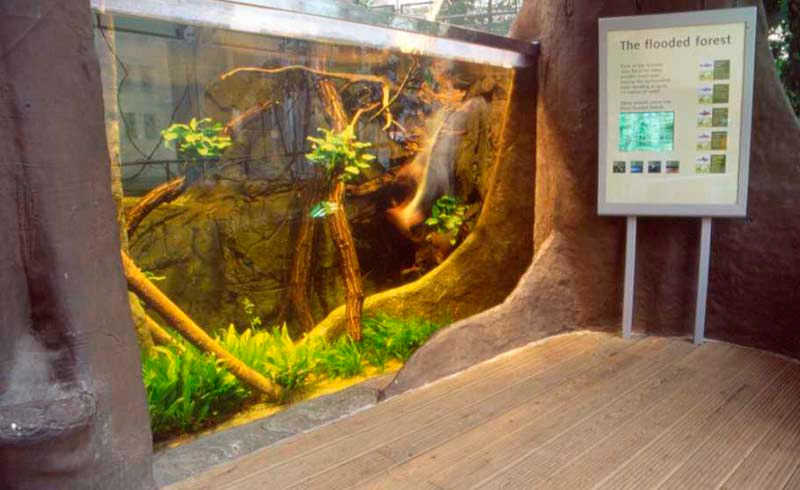 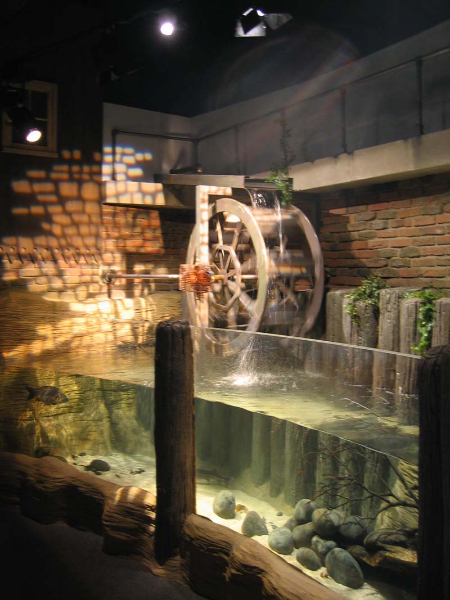 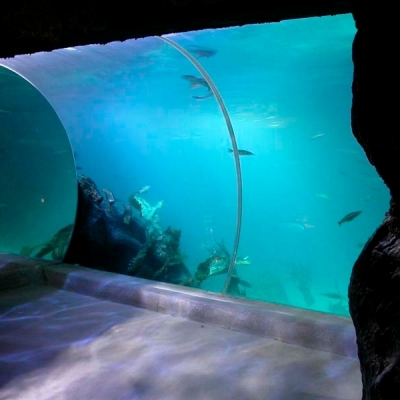 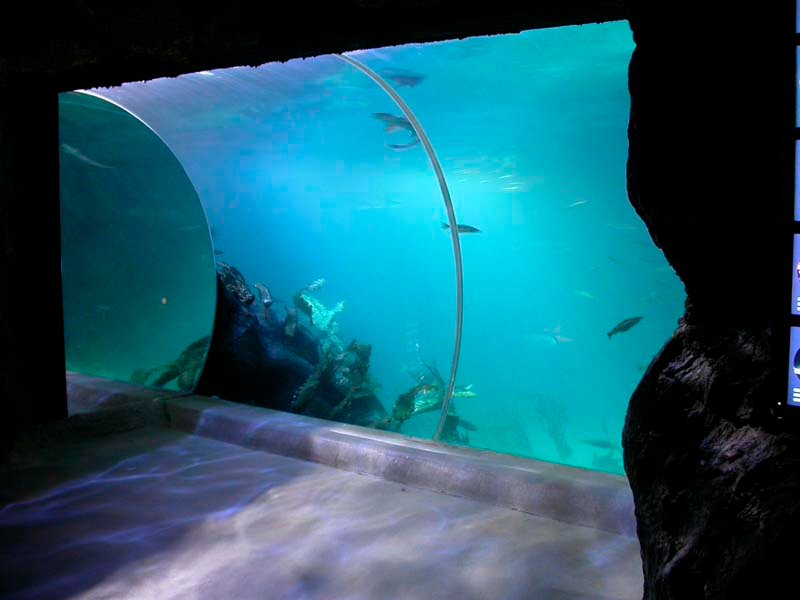 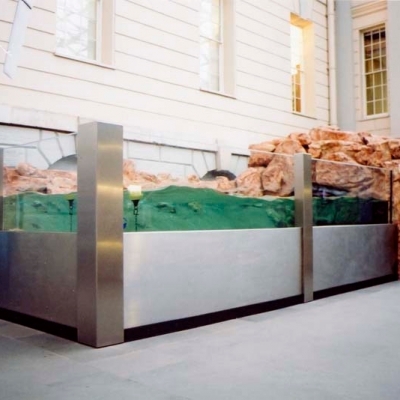 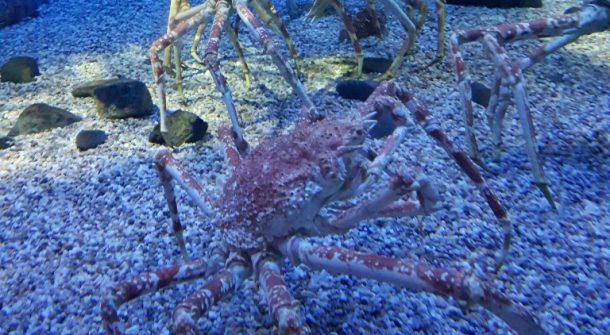 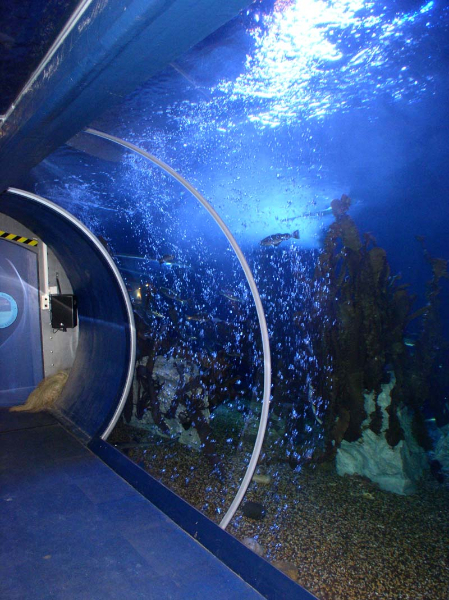 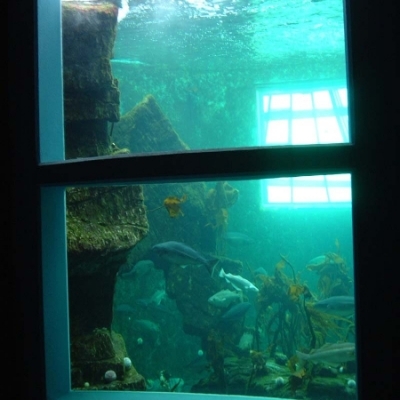 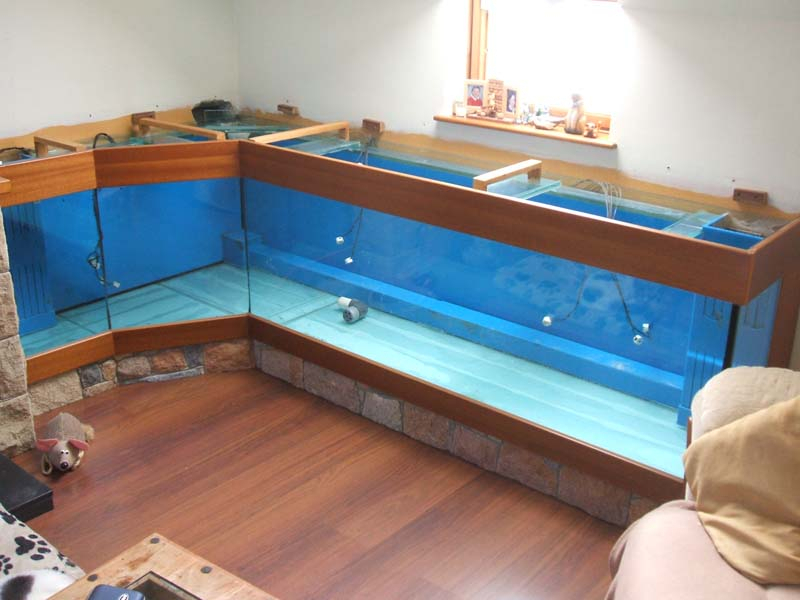 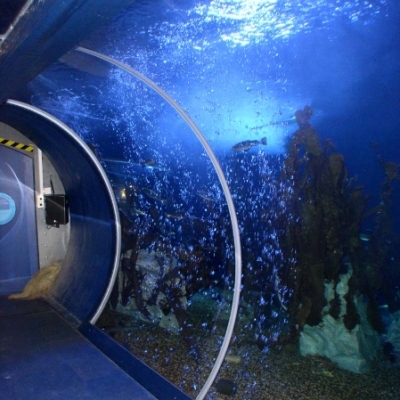 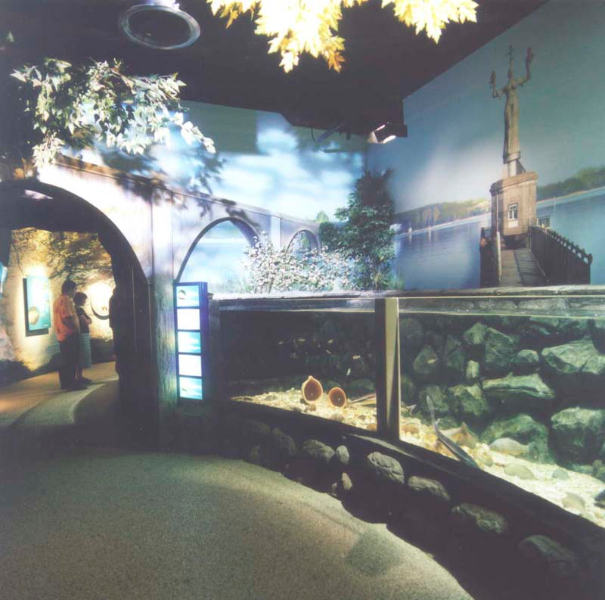 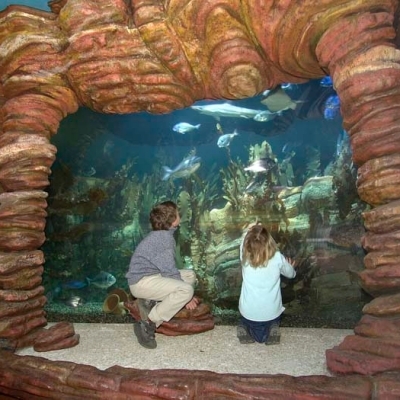 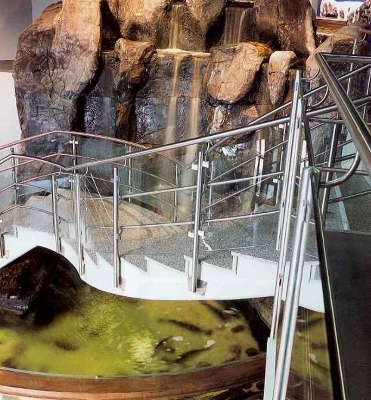 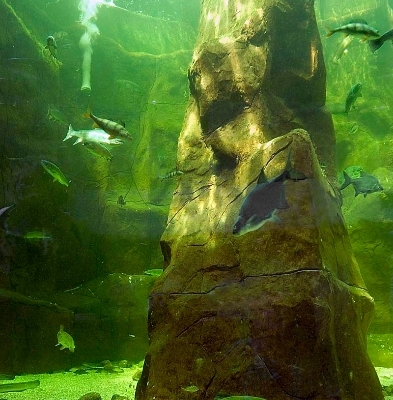 The ATL team cut its teeth in the 1990’s as part of a major attractions company producing many hundreds of commercial scale bespoke large aquarium displays and developing new and innovative methods of manufacture using zero maintenance light weight materials that enabled fast and clean installations. 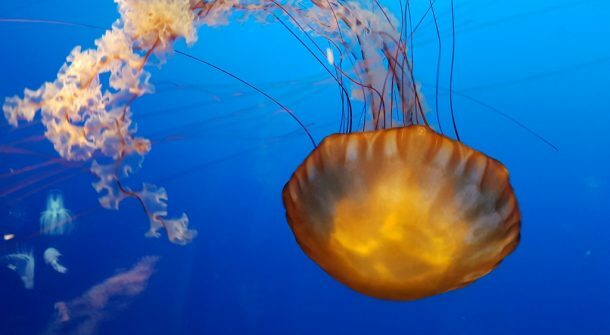 Please feel free to call us or make contact through our enquiry page to discuss your requirements, from a shoal of tuna to a single jellyfish, we’ve tackled them all so ask the experts first. 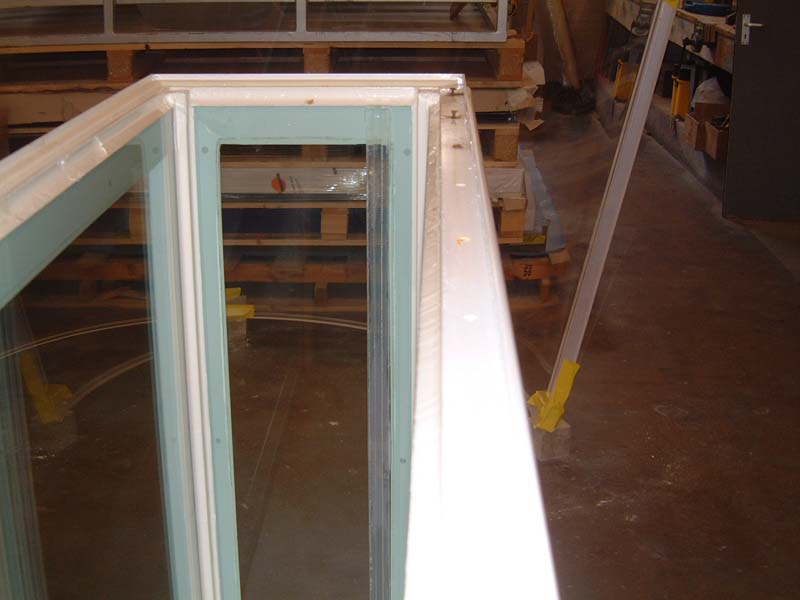 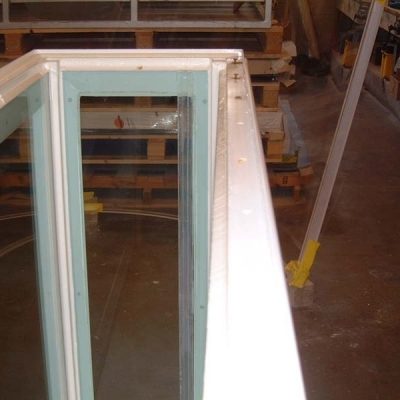 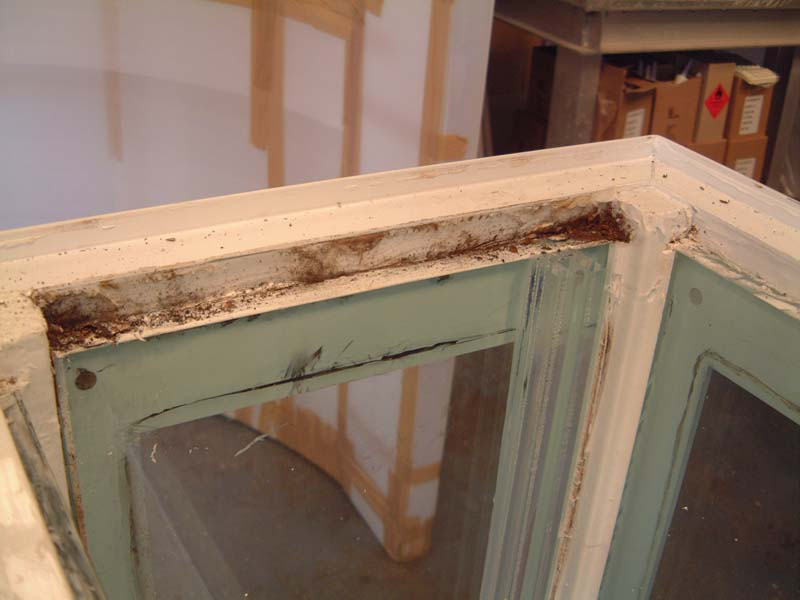 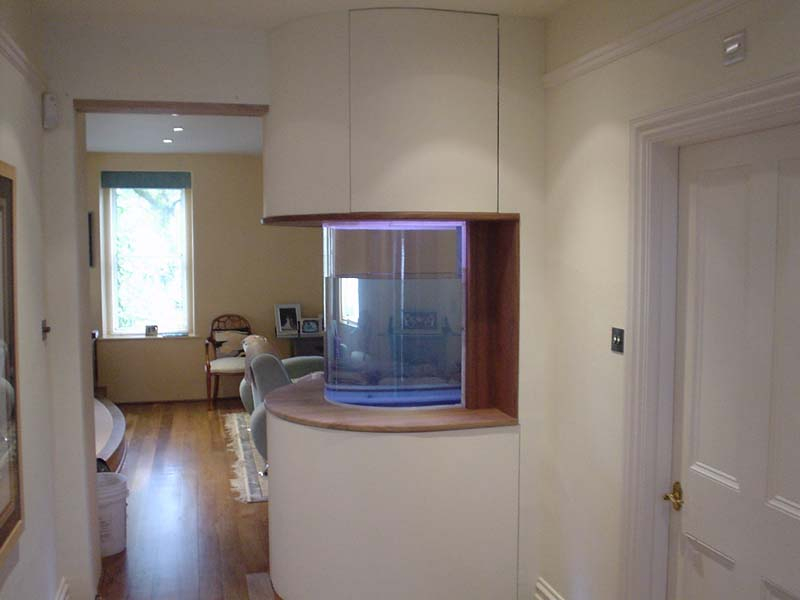 ATL can design, build and install exactly what is required in a refreshingly efficient and flexible manner. 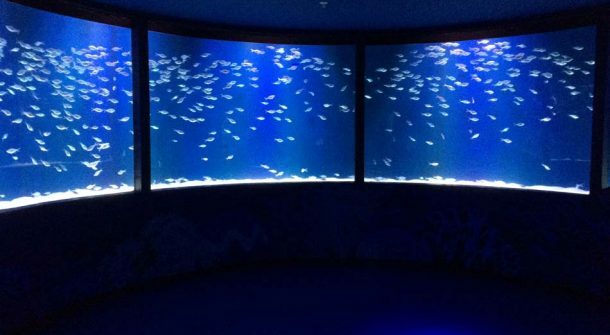 Our state of the art aquarium products are robust, safe and tailored to the specific demands of both the inhabitants and the viewer. 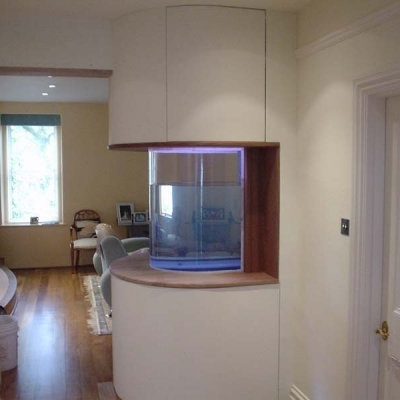 Any shape, any situation, no compromise and most importantly, no disappointment. 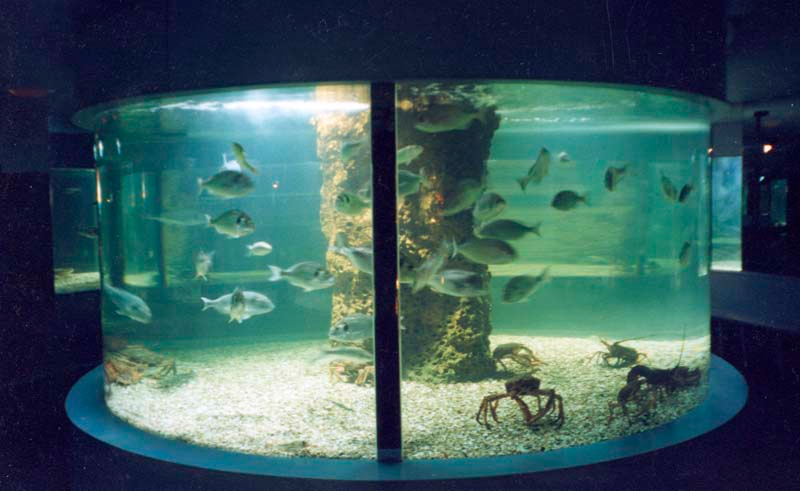 Aquariums at any scale for whatever species. 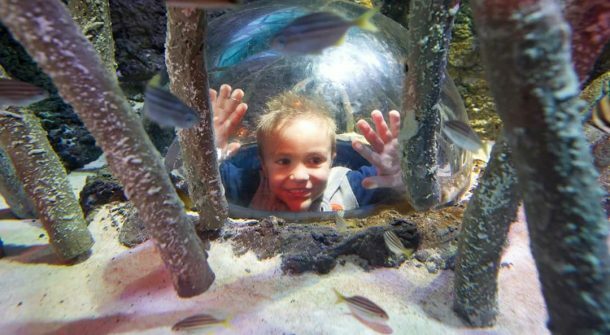 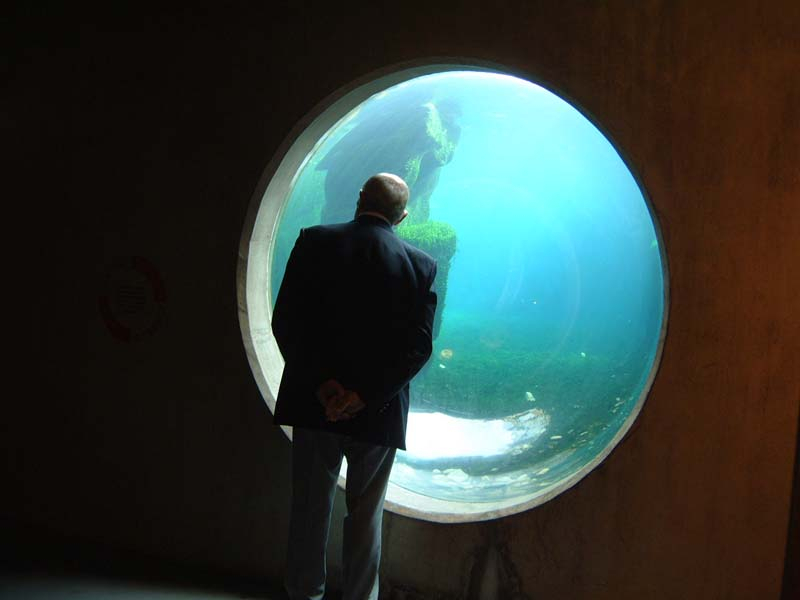 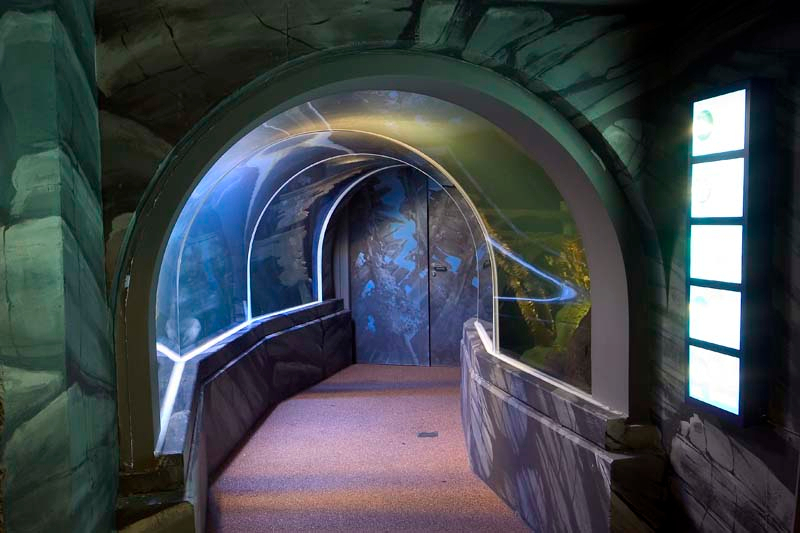 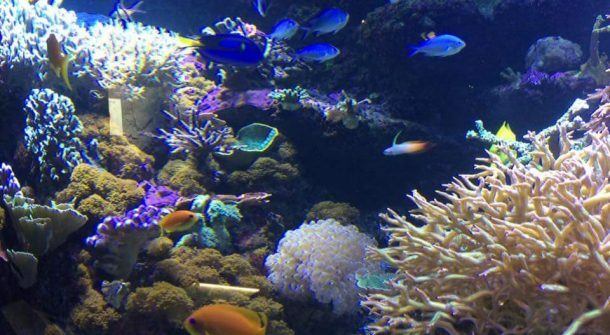 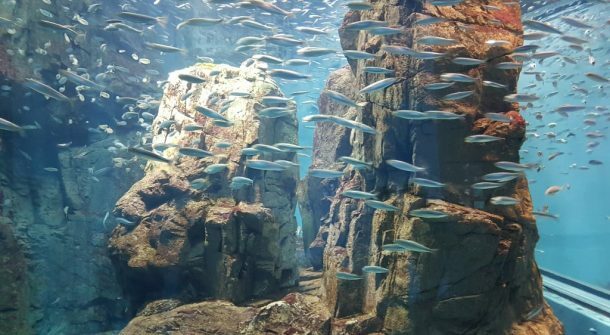 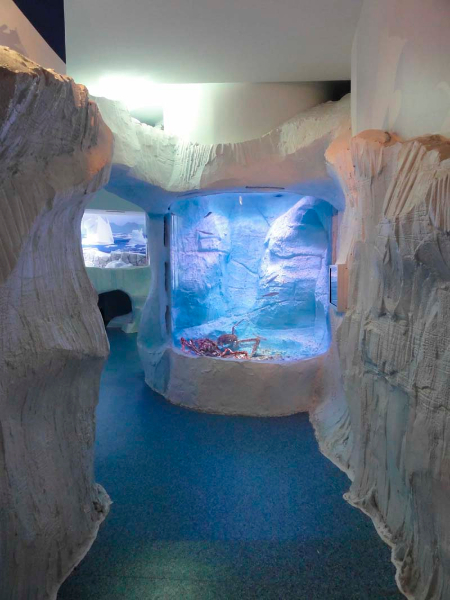 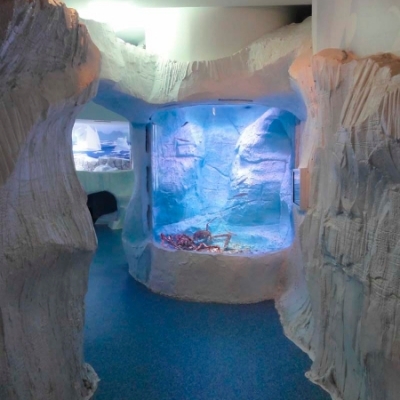 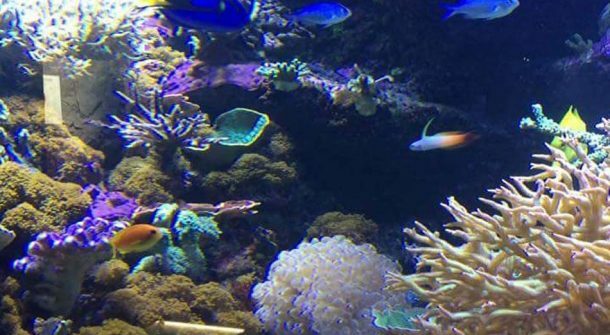 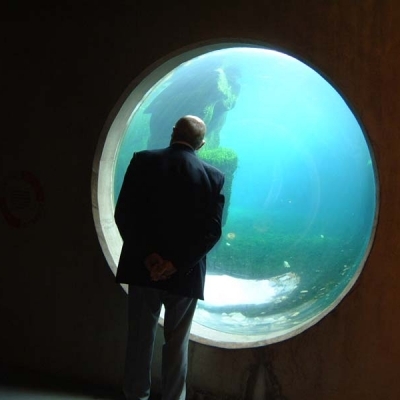 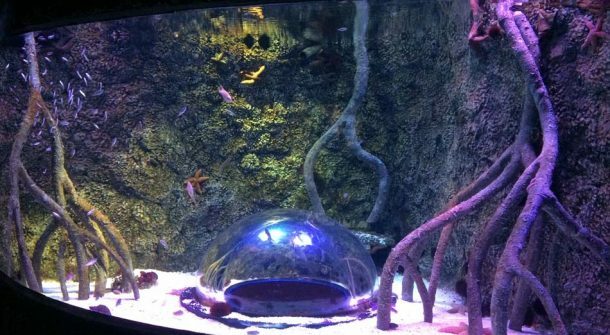 Temperate, tropical and even arctic marine (large aquarium) displays have been at the heart of ATL’s capability since day one and continue to make up the lion’s share of our bespoke output. 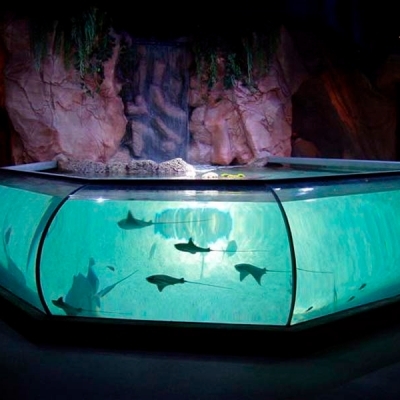 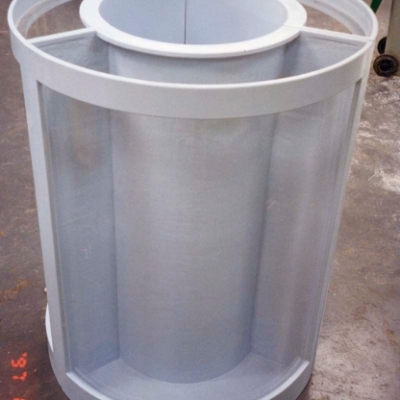 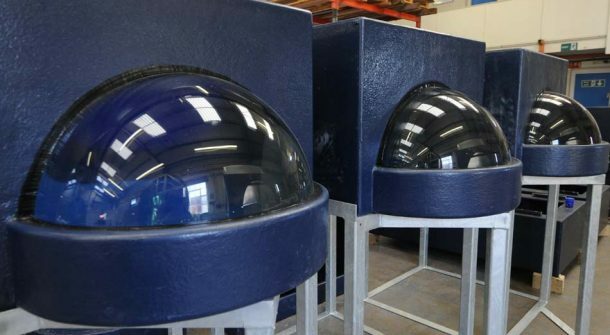 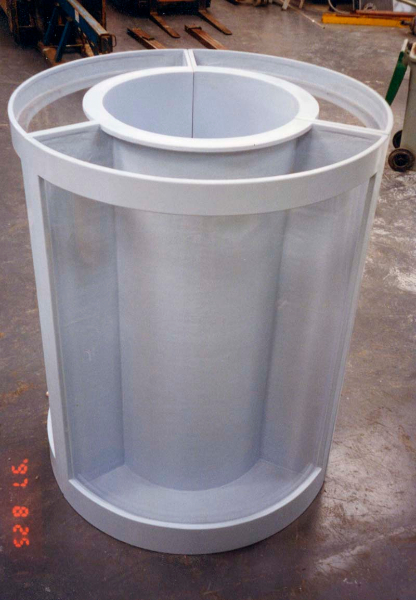 Across the range from tropical shark to temperate ray displays we have an extensive range of design and manufacturing options to suit every application, no matter how demanding. 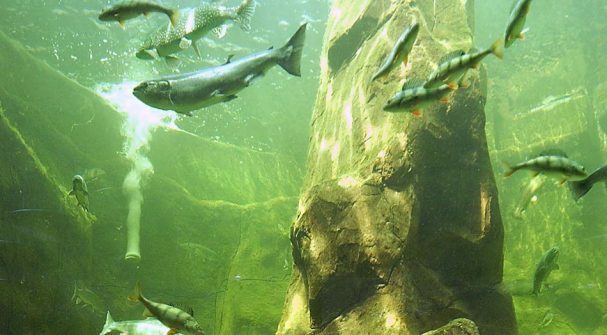 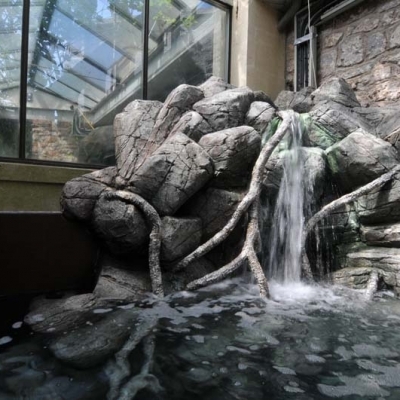 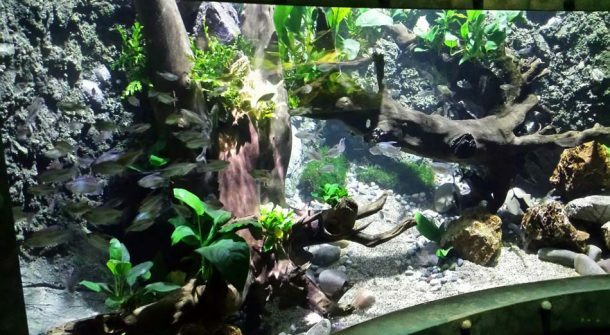 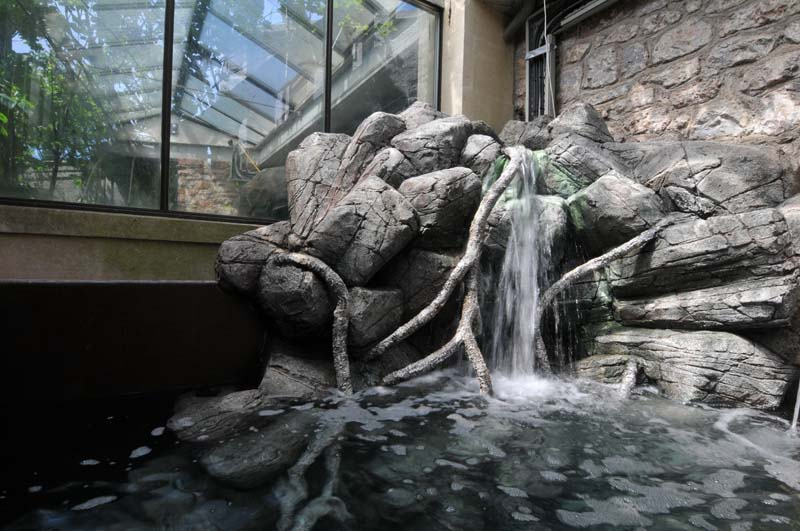 Freshwater species, whether tropical or temperate, occur in a very wide variety of natural habitats and ATL’s ability to recreate these both on a domestic and commercial scale set them apart from run of the mill aquarium display providers. 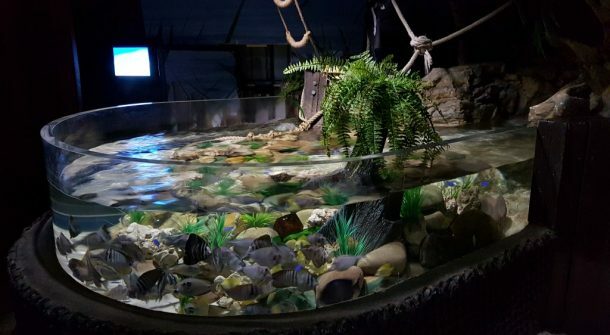 Specialising in displays for temperate freshwater species has enabled ATL to help others realise that there are many uniquely beautiful species which have often been overlooked in favour of their more colourful tropical cousins. 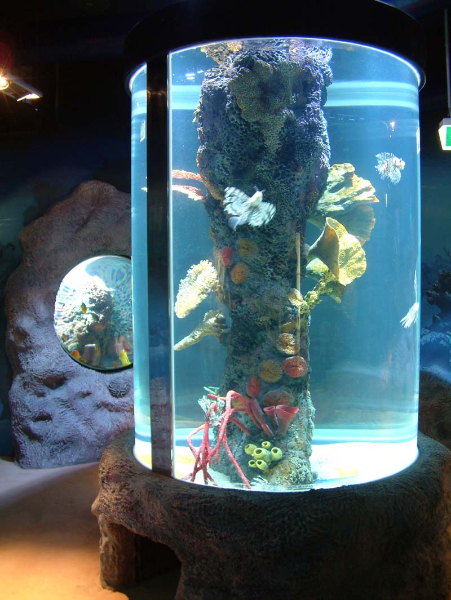 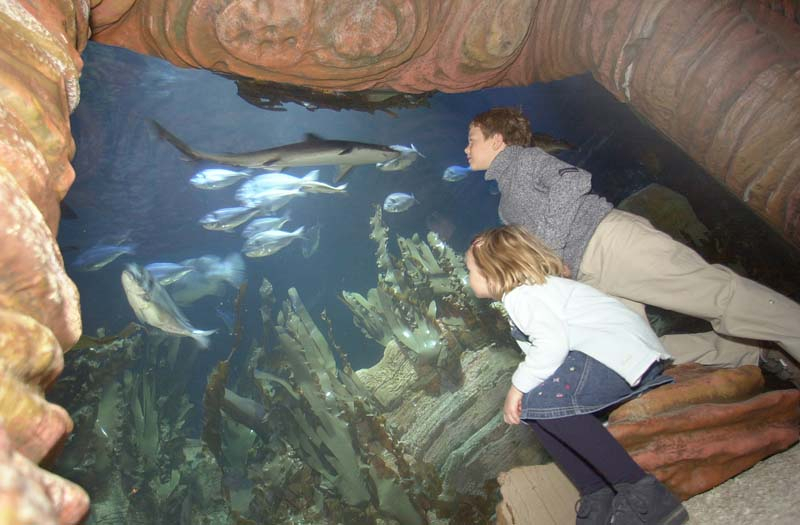 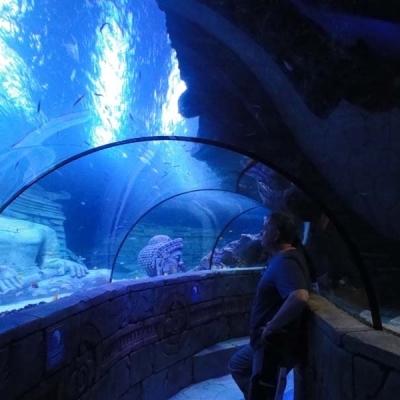 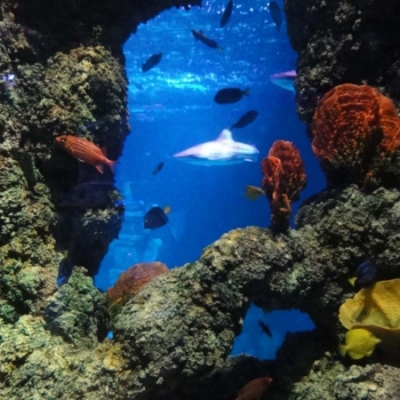 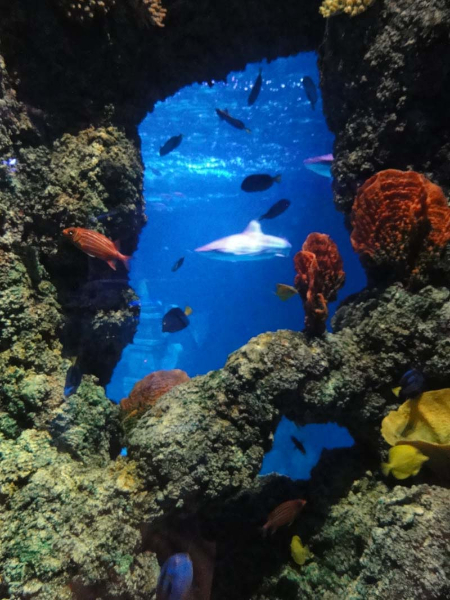 Often exploited as the centre piece of marine aquarium attractions the Ocean Display is usually the largest and most impressive single tank with multiple views and opportunities. 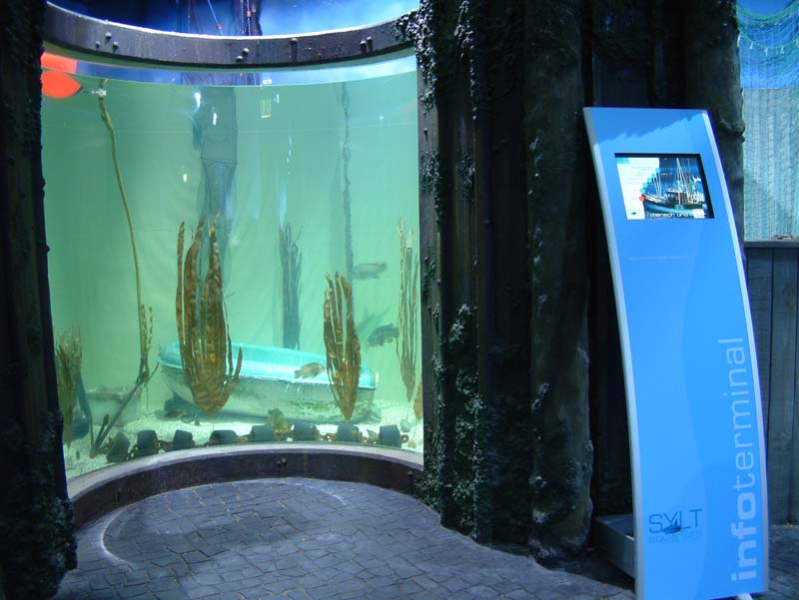 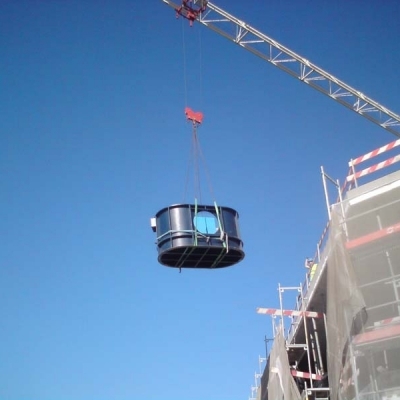 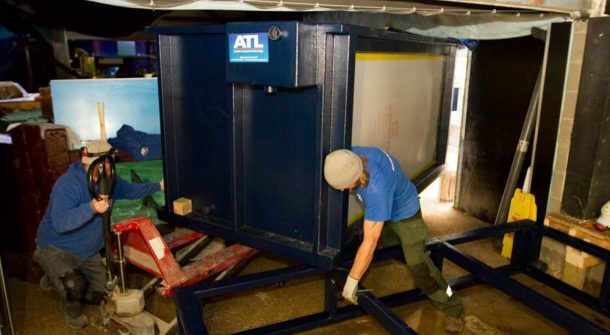 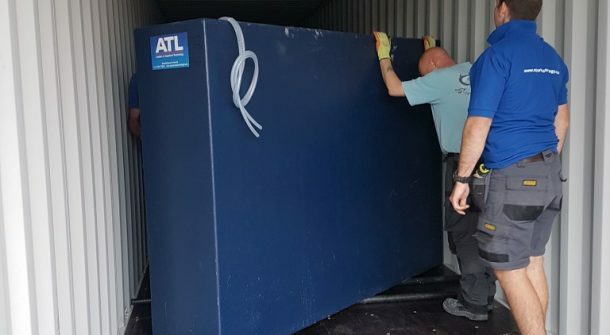 Here at ATL we have produced both prefabricated and in situ built ocean displays of up to 1,000,000 litres capacity and 8 metres water depth. 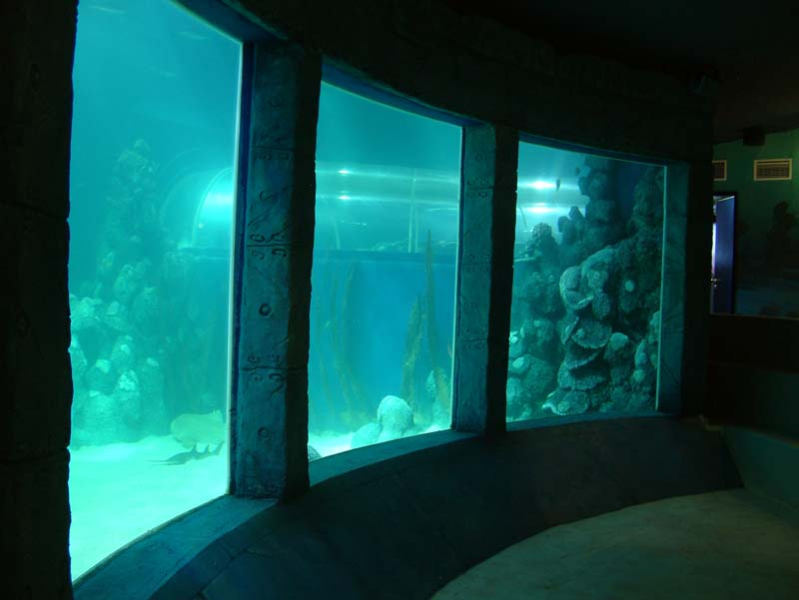 These have been equipped with fully integrated waterproofing systems, under water walk through tunnels, large panoramic viewing panels and other unique views like large hemispherical acrylic windows. 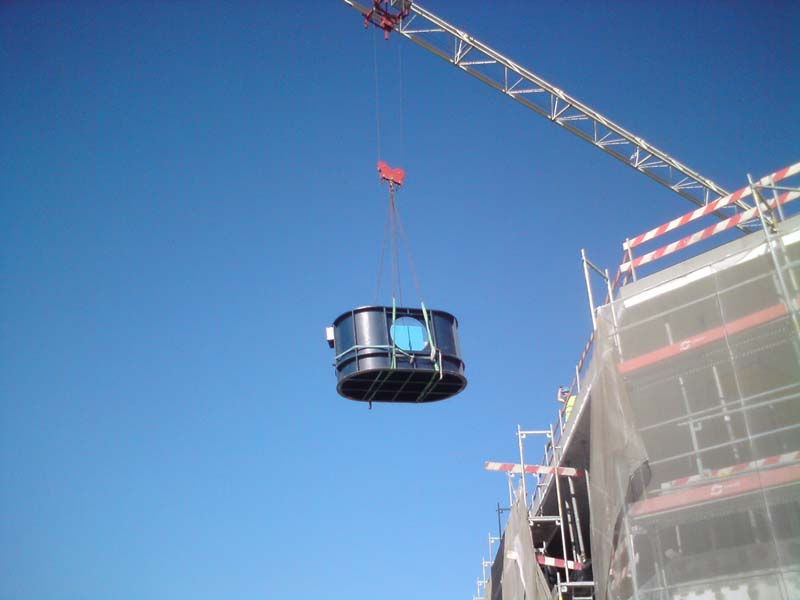 Installations can be designed to suit both new developments and refurbishment projects where access is usually a limiting factor. 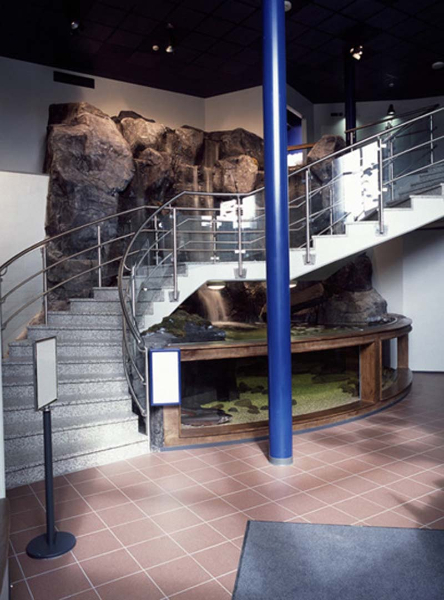 Whether it’s a large room divider, staircase balustrade or simple stand alone display ATL can come up with a solution to suit your budget and location, including the provision of lighting and life support equipment. 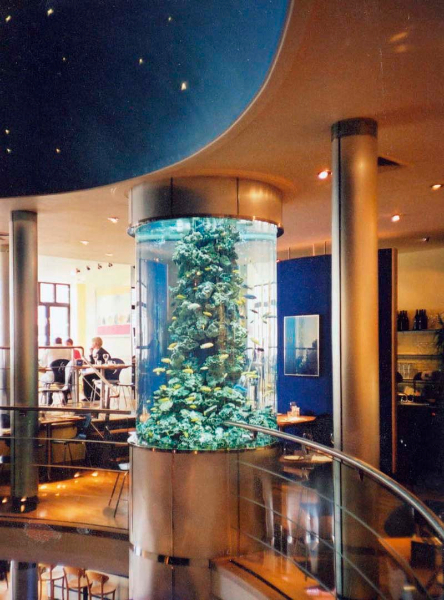 Modern clubs and restaurants need a unique feature to make them stand out amongst the crowd and what better way than to include a stunning aquarium display as a restful centre piece to a chill out or dining area. 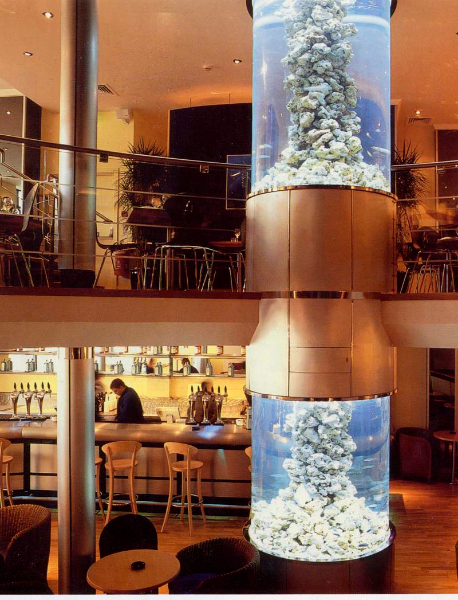 ATL doesn’t cater for the proprietary ‘bubble column’ market but looks to design and manufacture bespoke displays and conversation pieces to add that special touch of class to any venue! 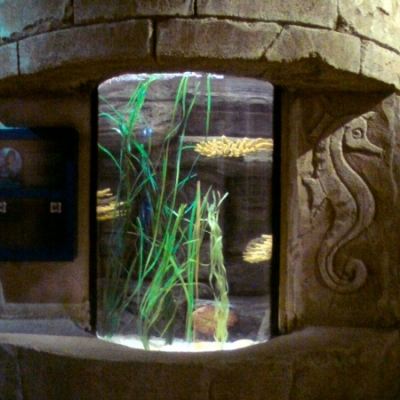 Similarly there are few better ways of impressing visitors, guests or clients than greeting them in a foyer or reception area that is backed by a decorative aquarium display. 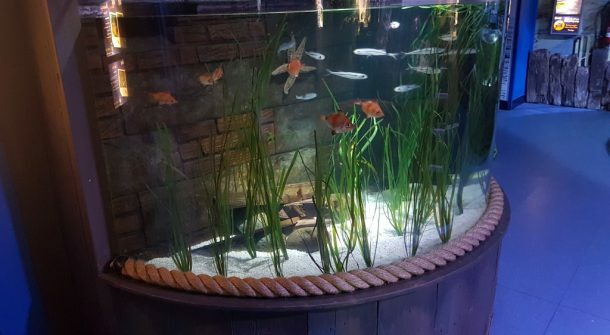 Not the traditional ‘waiting room fish tank’ but a real eye opening display designed to create an impressive and restful backdrop. 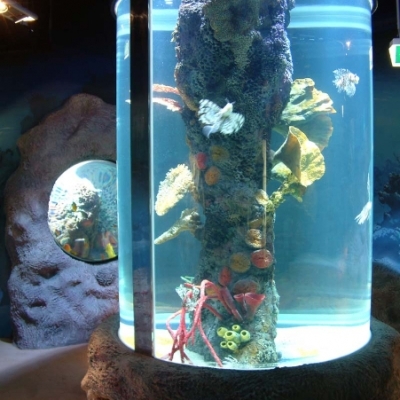 ATL’s extensive experience in designing and building bespoke displays guarantees the perfect solution. 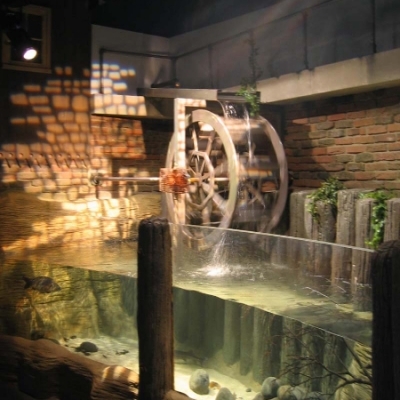 Open spaces that utilize water movement and noise to generate a cooling tranquil feel are increasingly in demand both in public areas like piazzas and squares and private courtyards, often linking buildings or attractions. 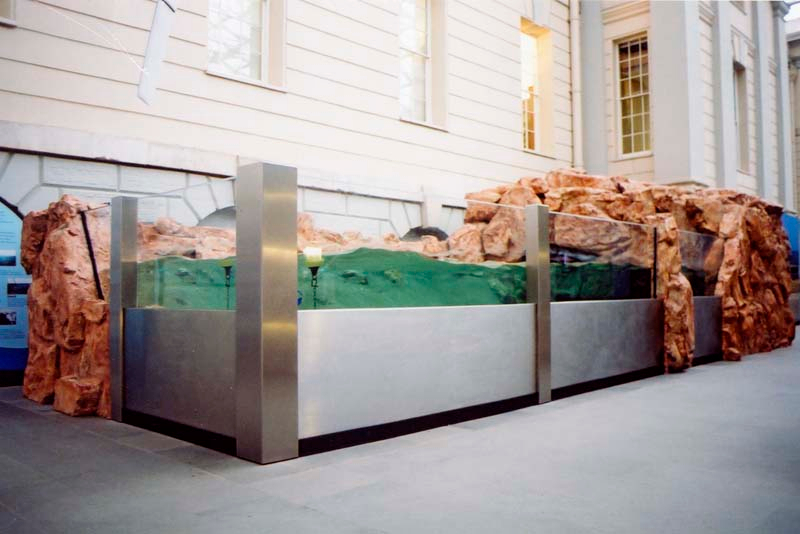 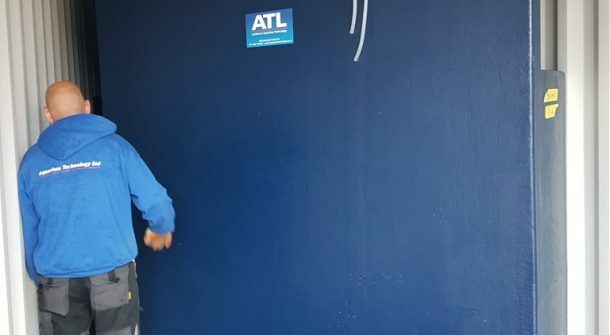 Demands for bespoke water walls, wave displays, fountains and artistic acrylic features can all be answered by ATL’s in house experience and their extensive network of specialist design and manufacturing relationships. 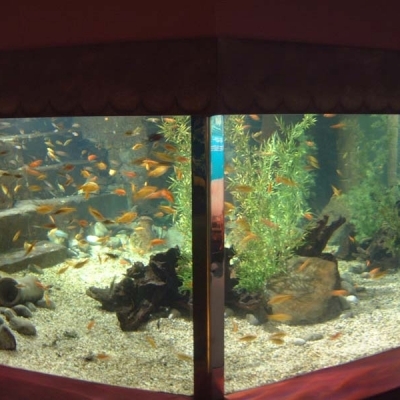 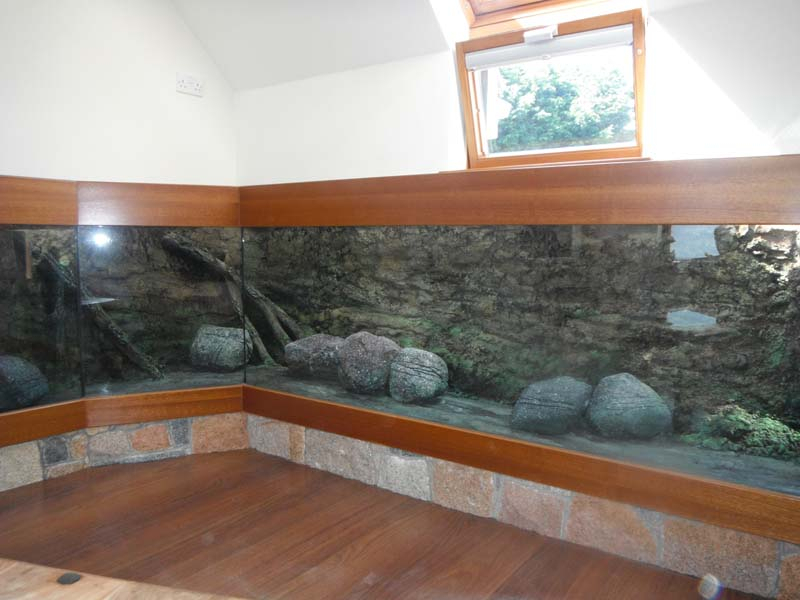 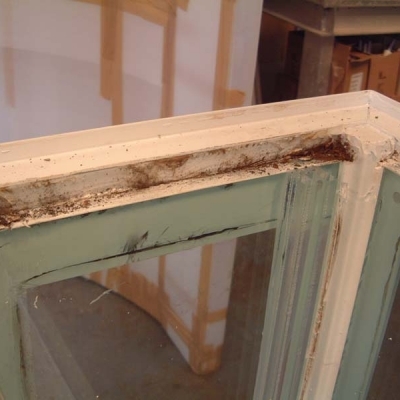 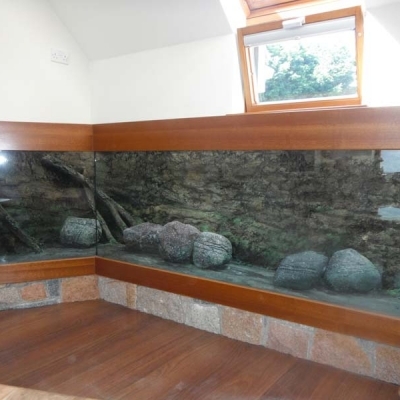 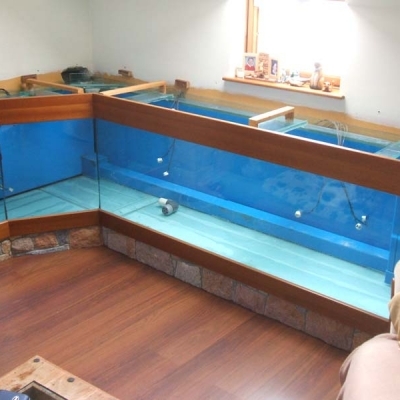 Long established aquarium displays can begin to look a little tired or out of date so rather than throwing every thing out and purchasing expensive replacements ATL can refurbish glazing, décor and life support to a better than new standard. 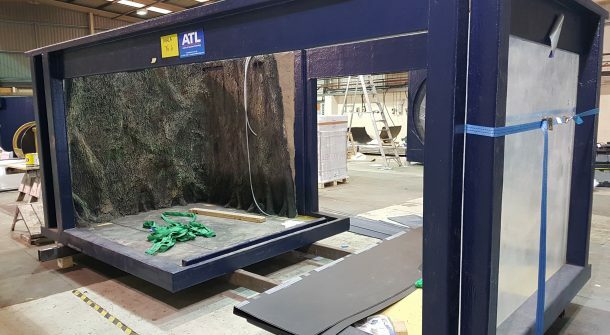 No matter the scale or complexity ATL can breathe new life into everything from a single domestic display to a fully themed multi display attraction for a fraction of the cost of a new installation. 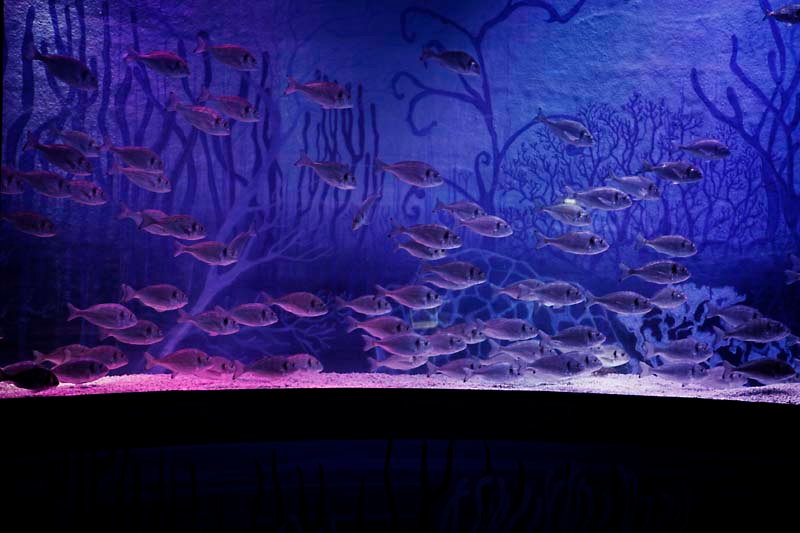 Turning the ordinary into the extraordinary.